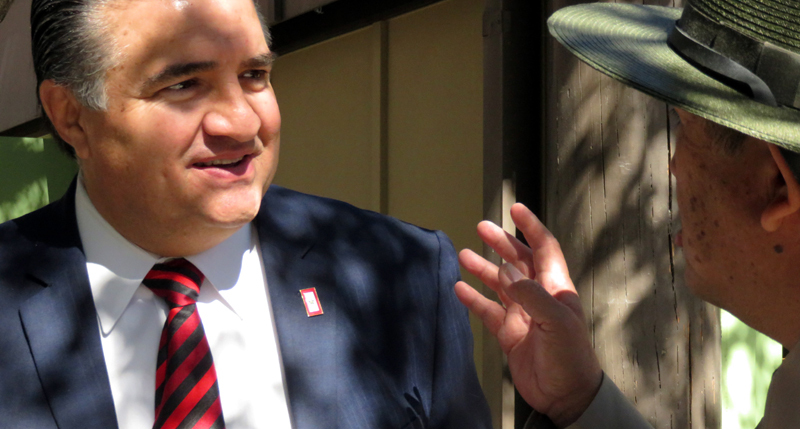 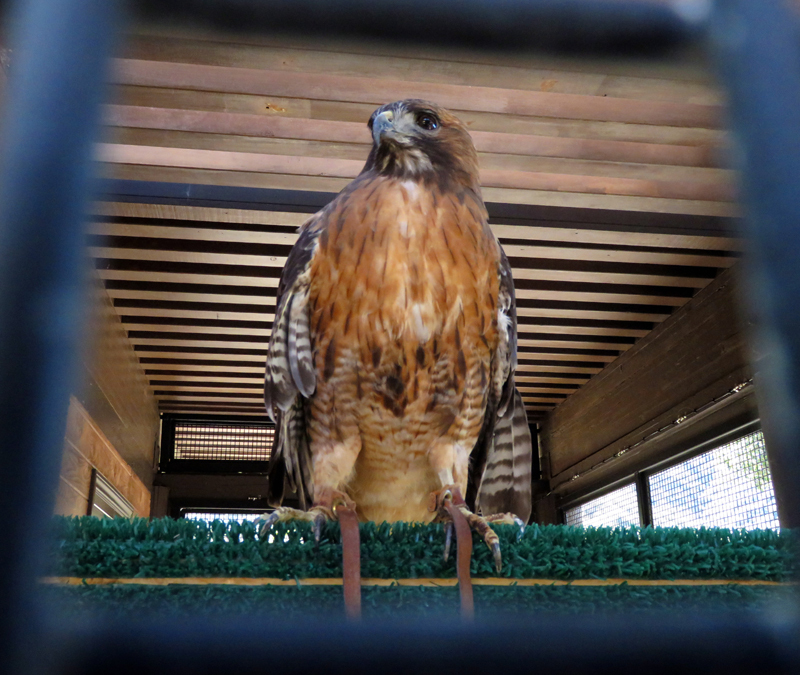 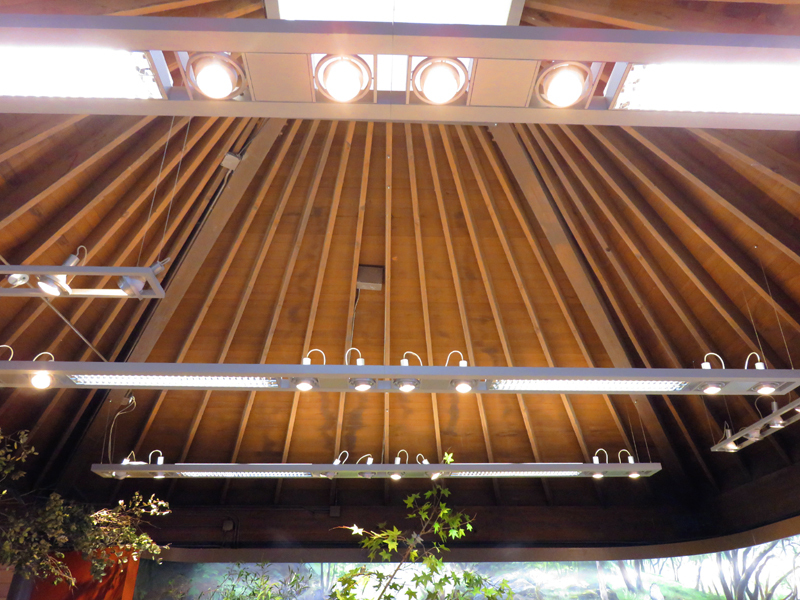 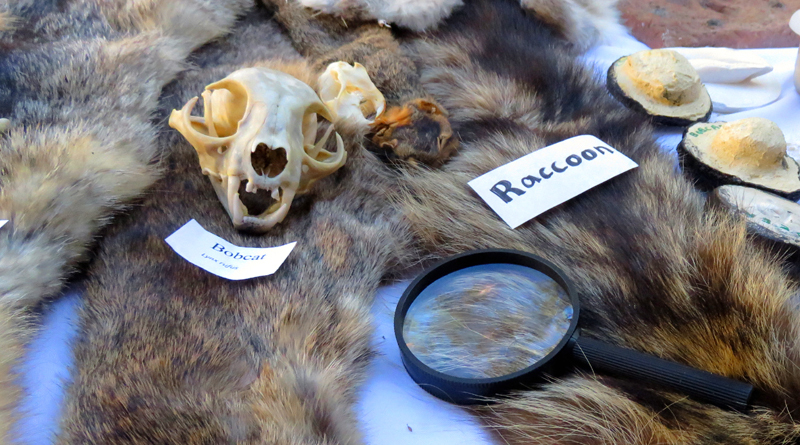 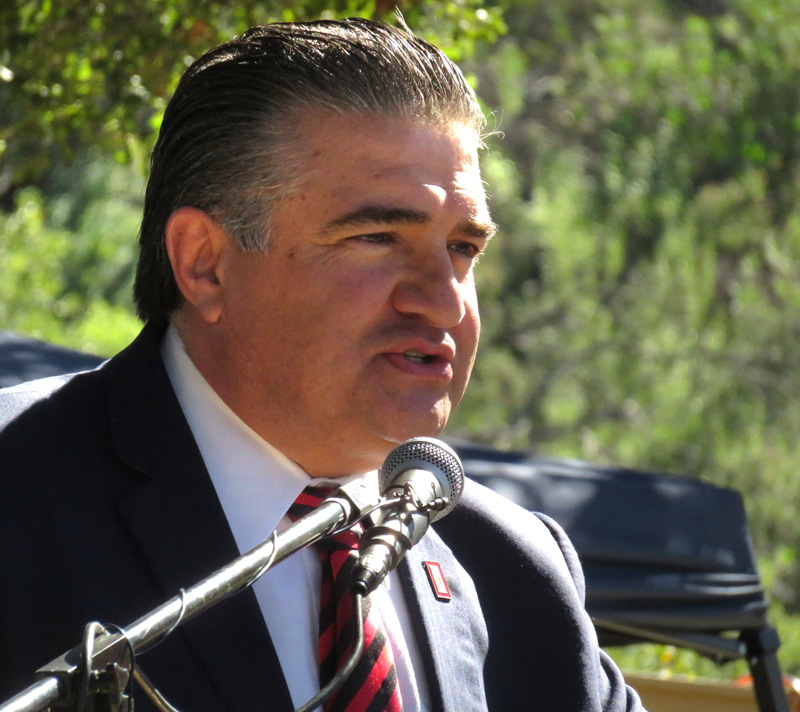 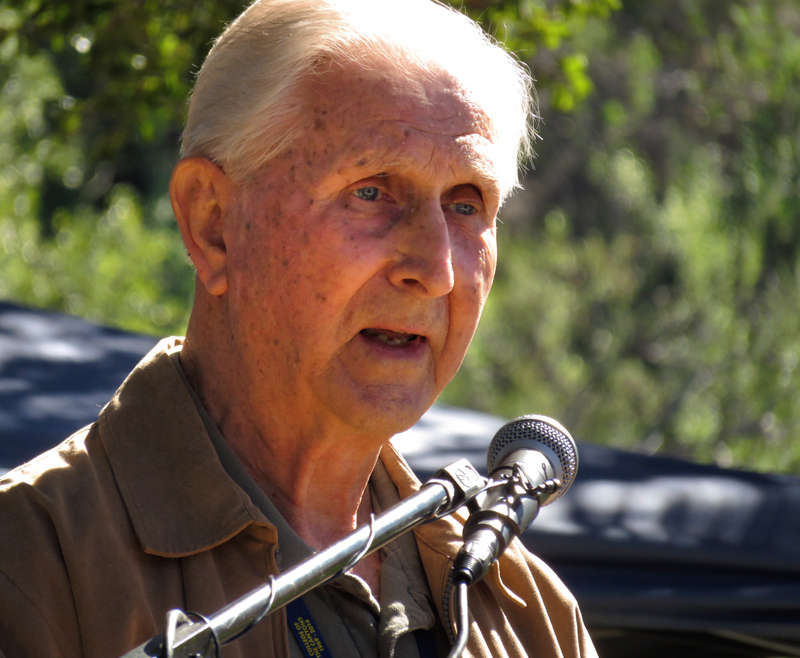 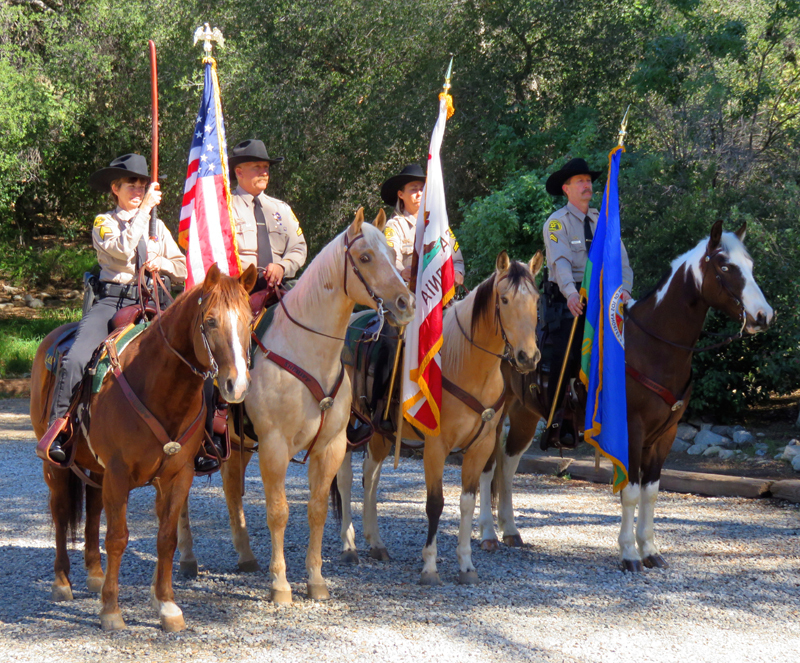 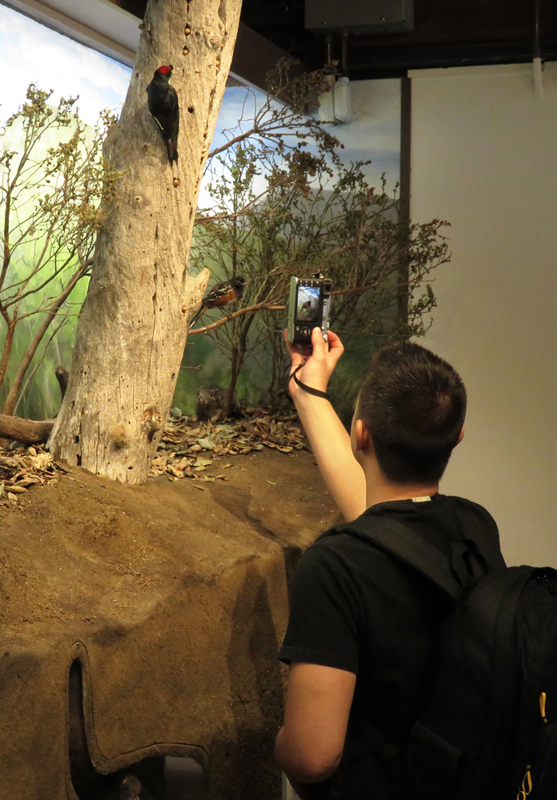 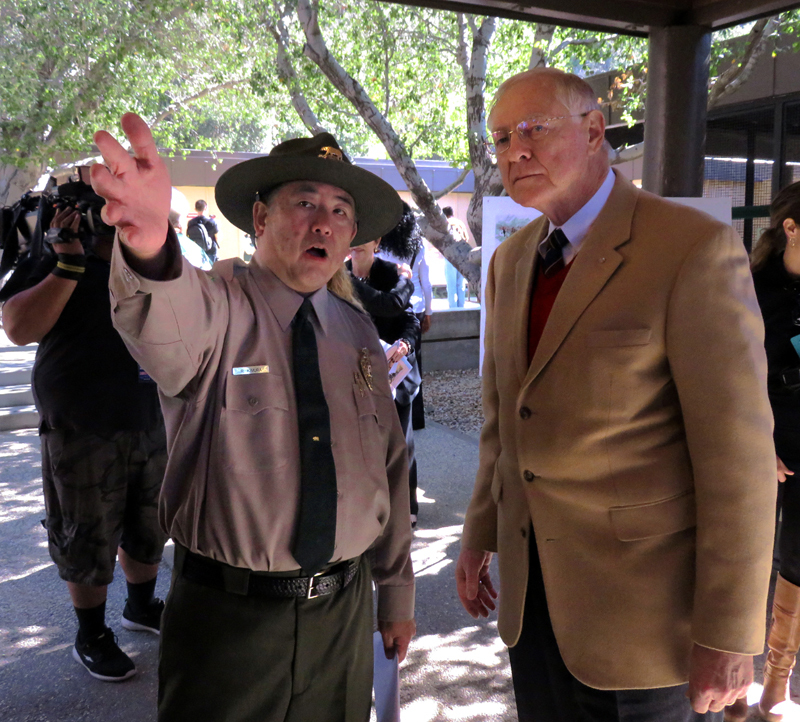 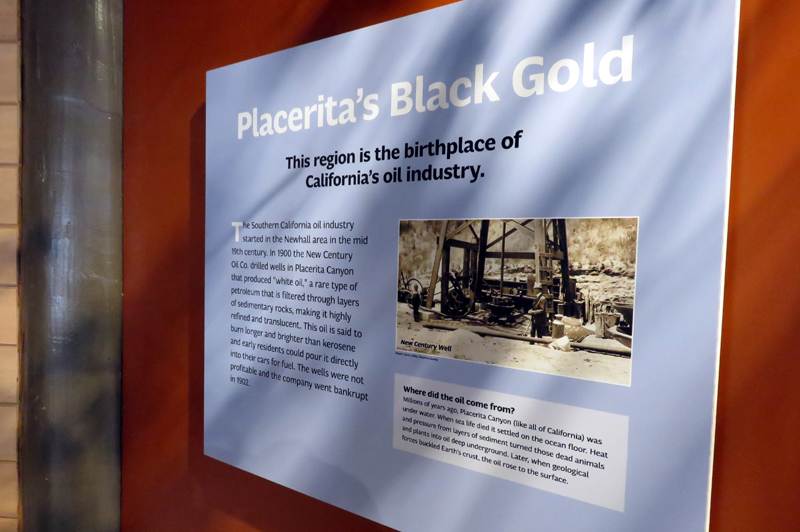 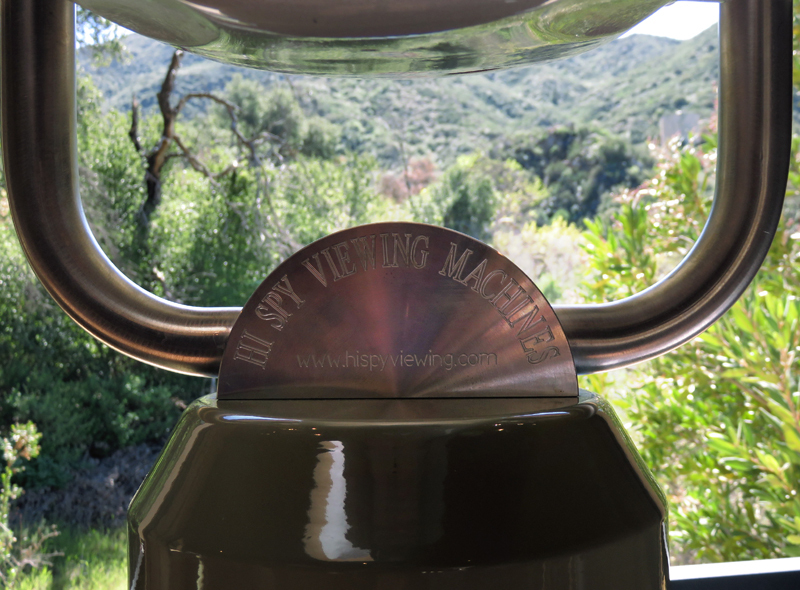 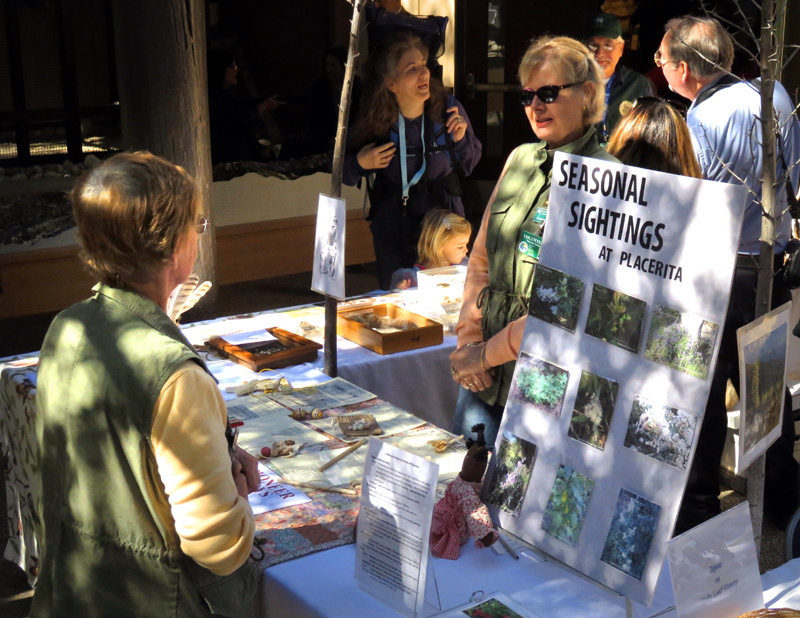 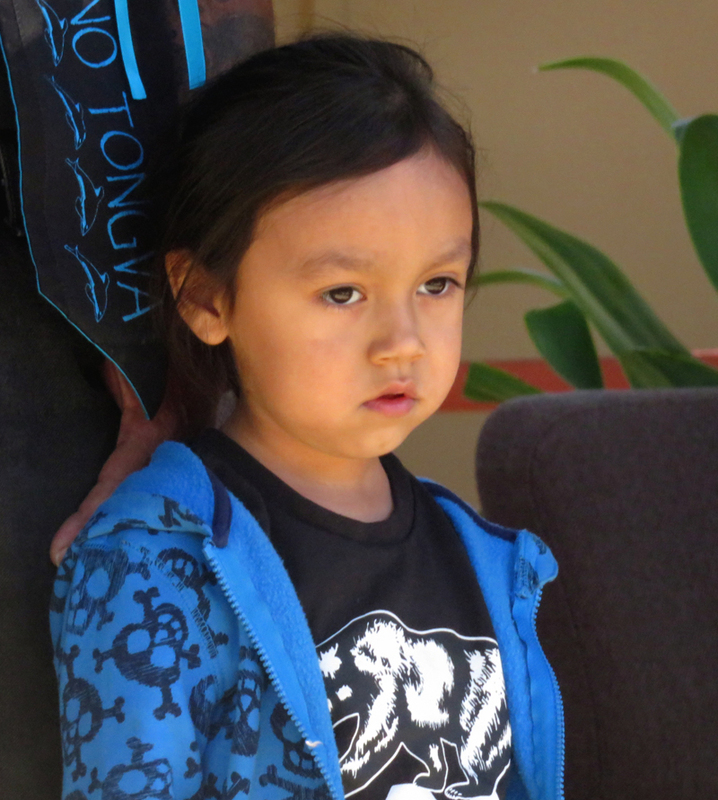 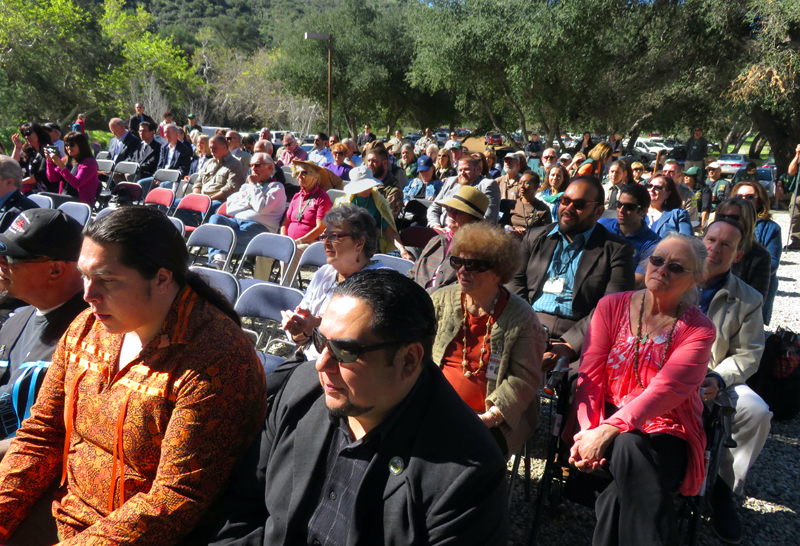 SCVHistory.com | Placerita Canyon | Photos: Placerita Canyon Nature Center Museum Opening, 2-25-2015. 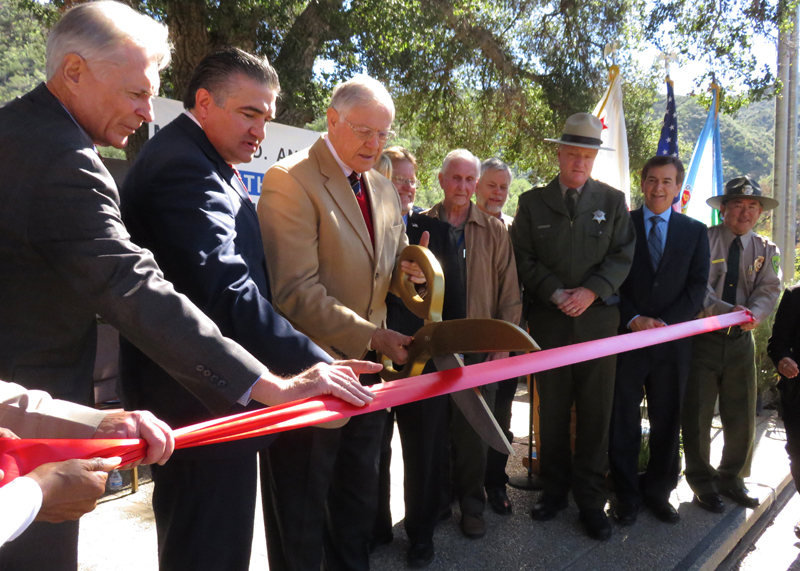 Placerita Canyon Nature Center Museum Opening. 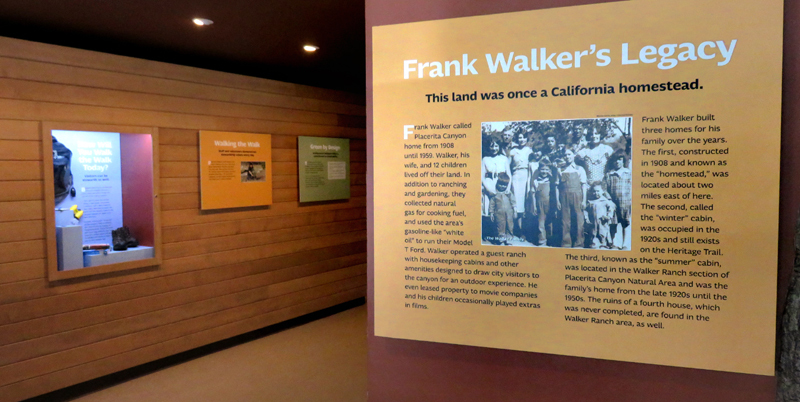 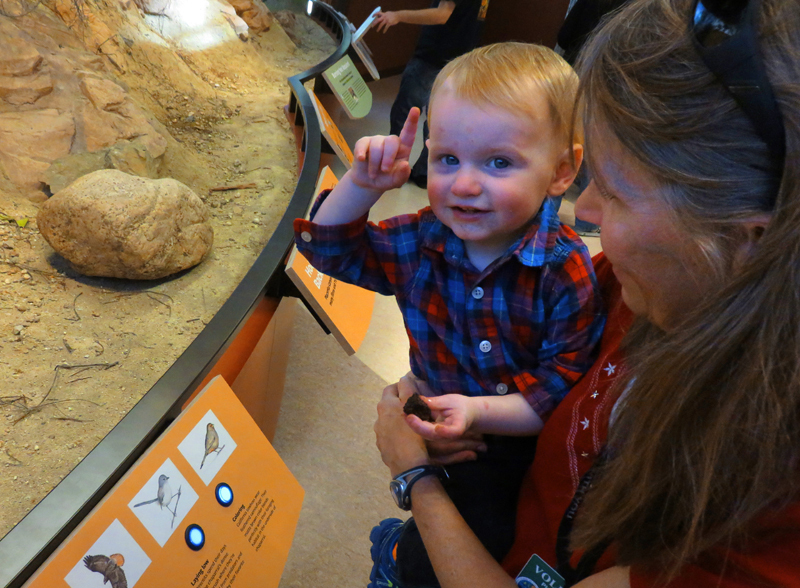 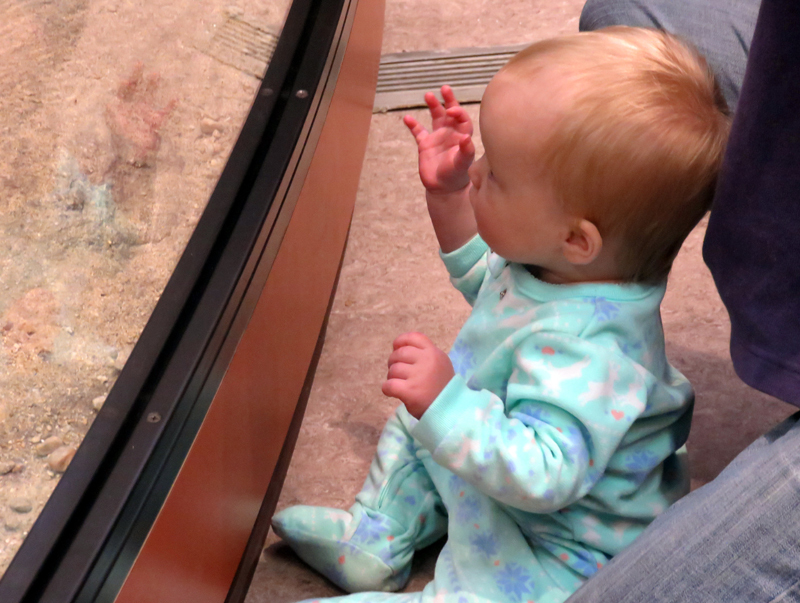 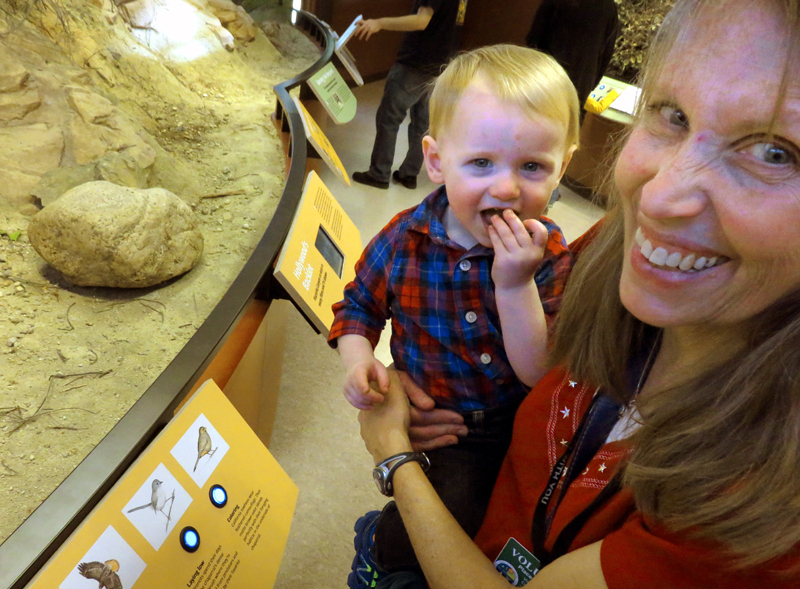 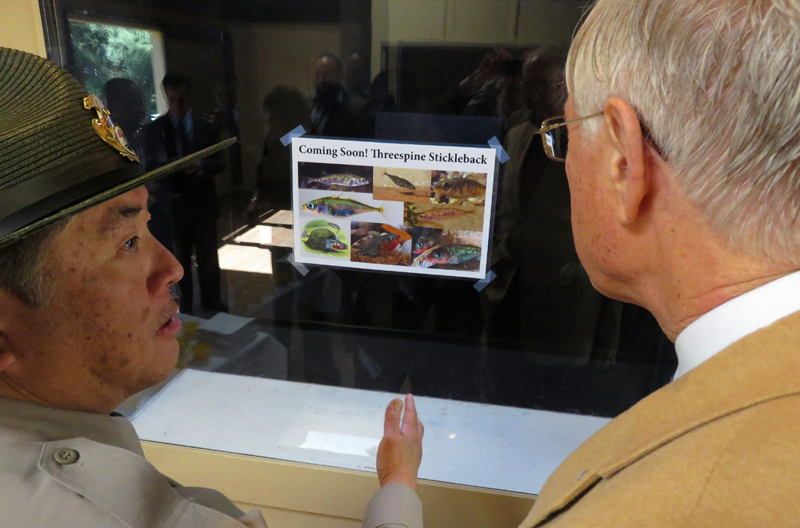 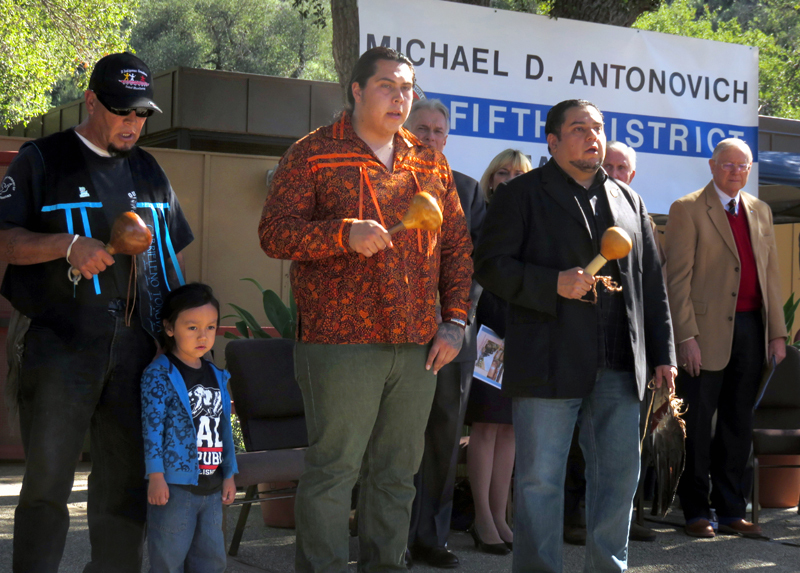 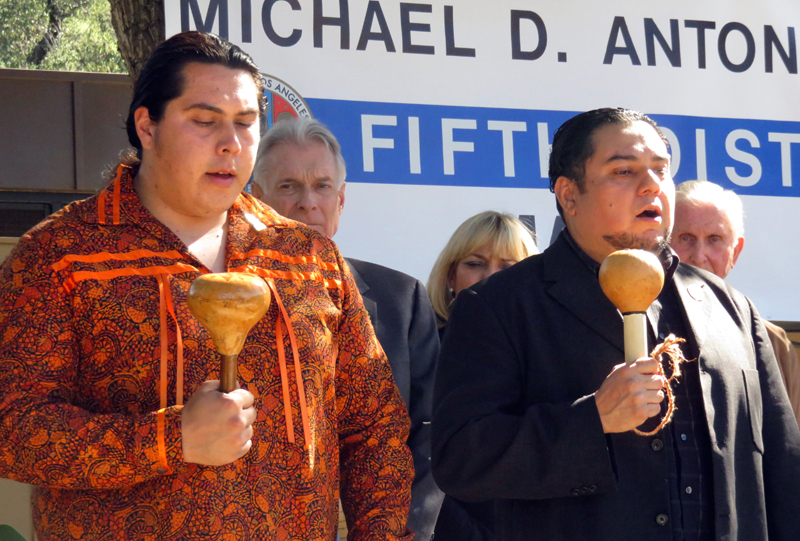 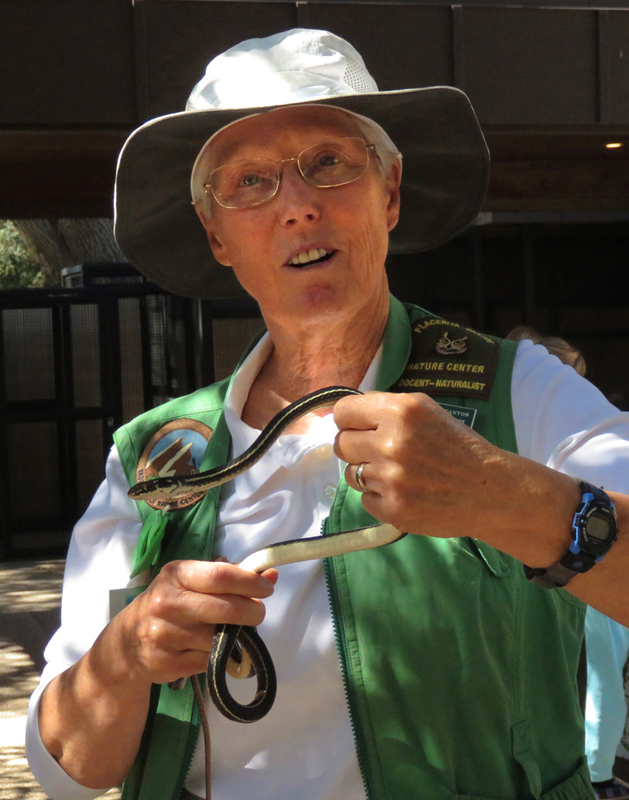 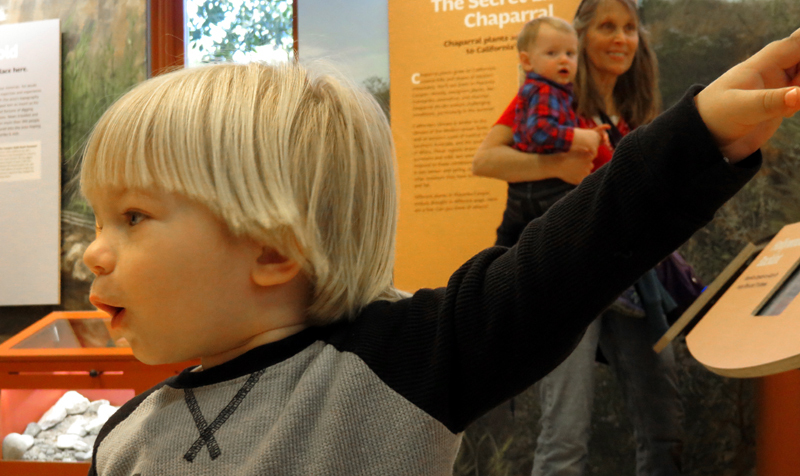 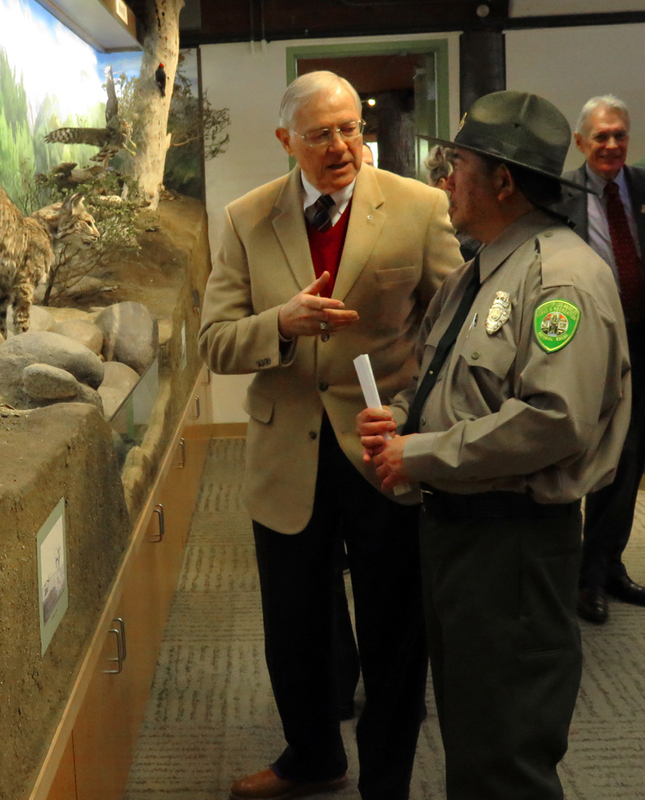 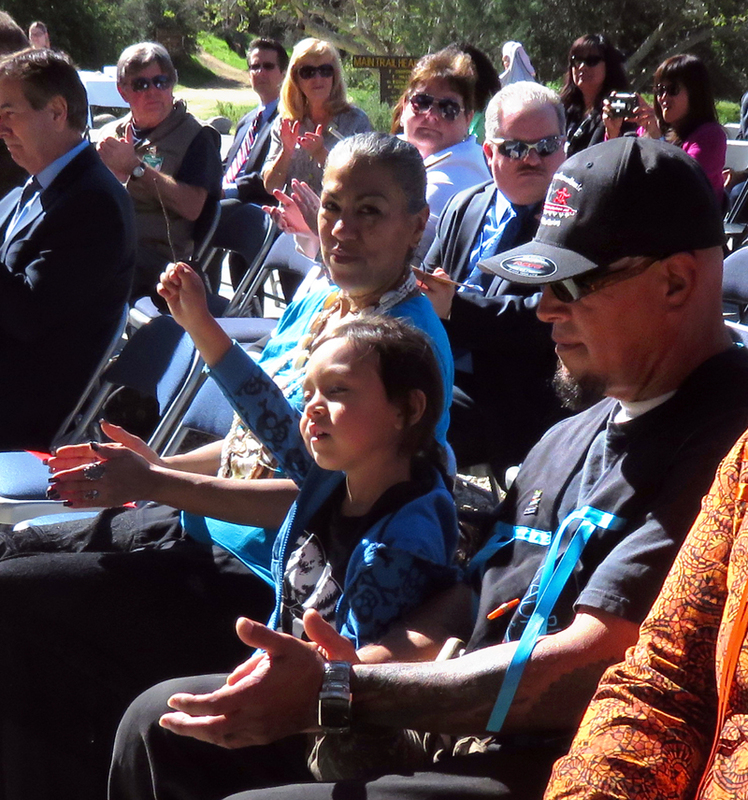 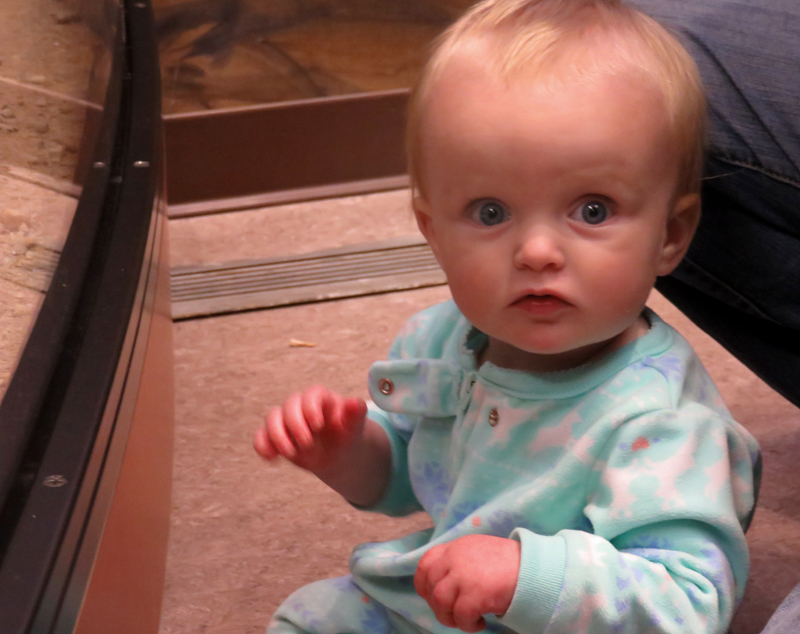 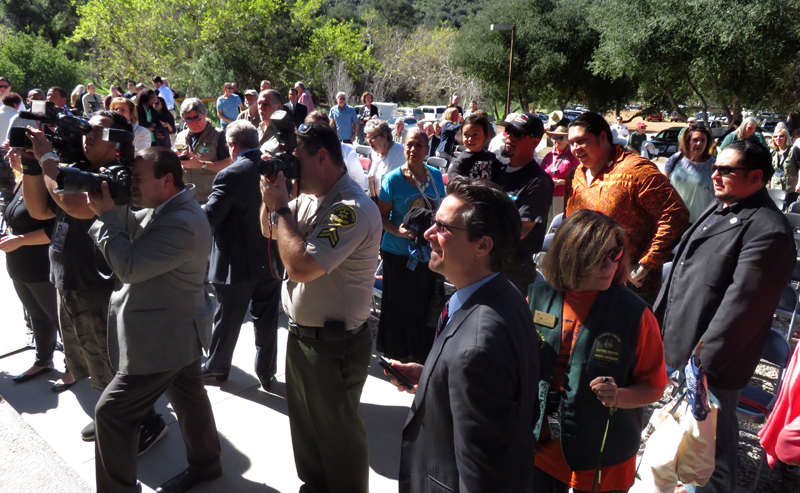 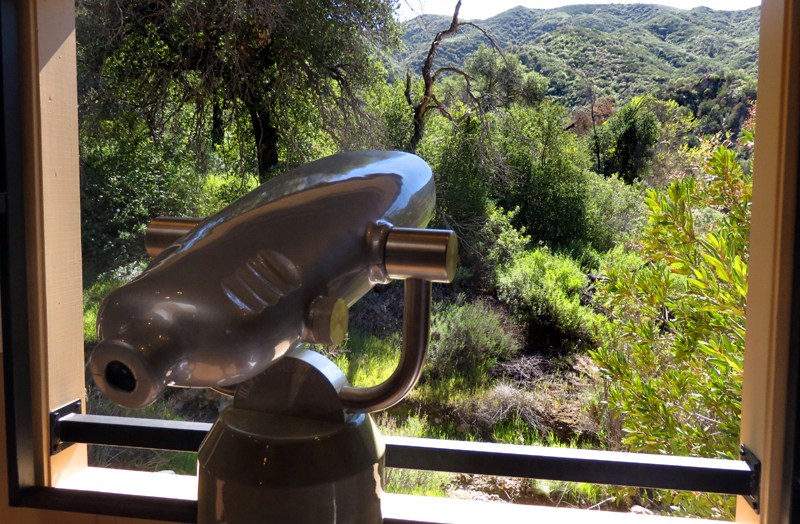 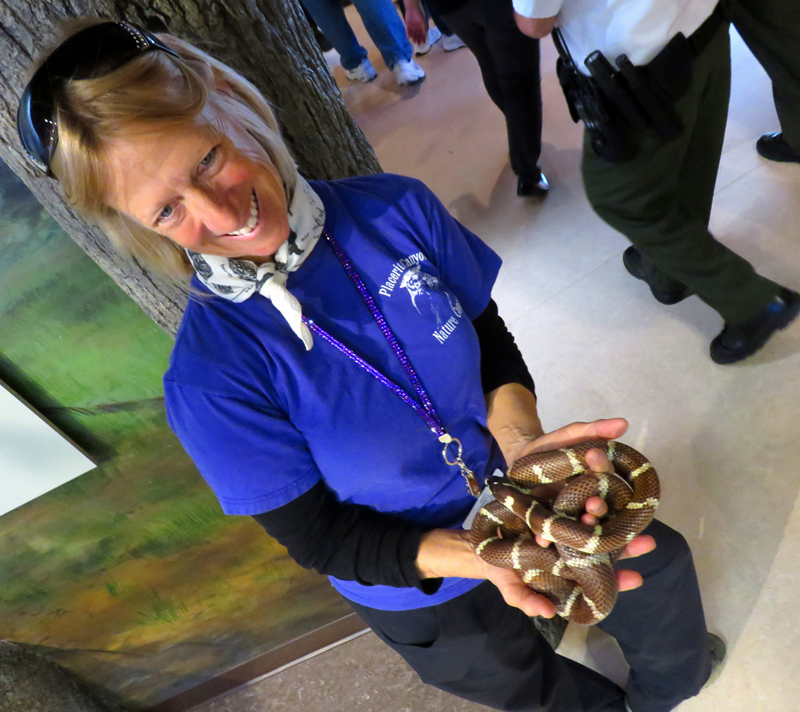 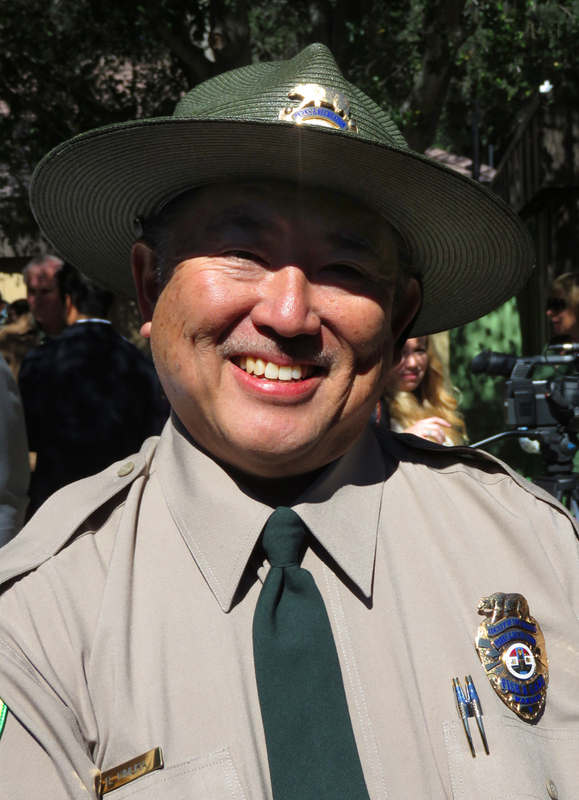 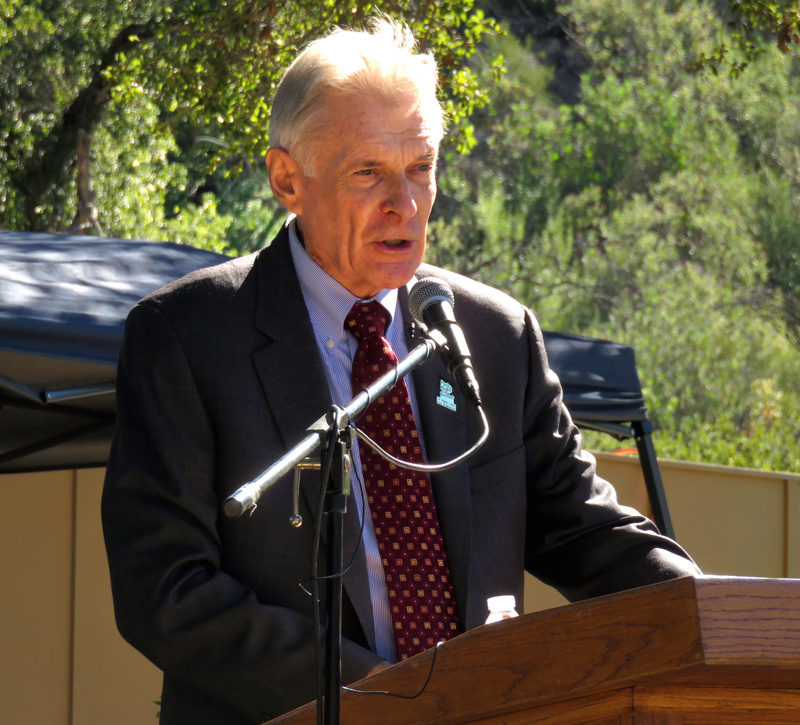 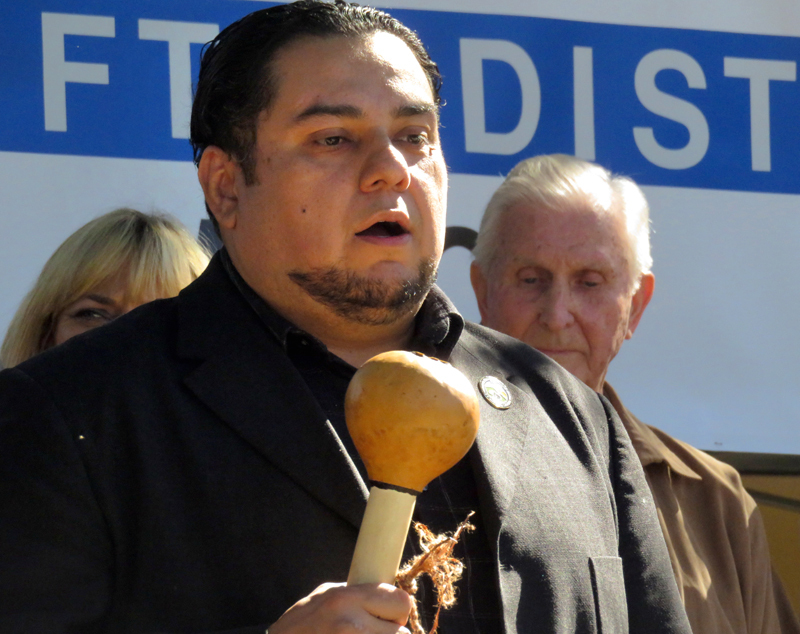 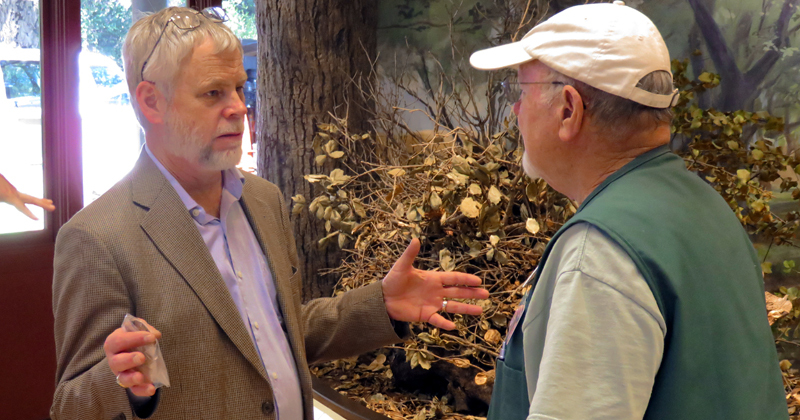 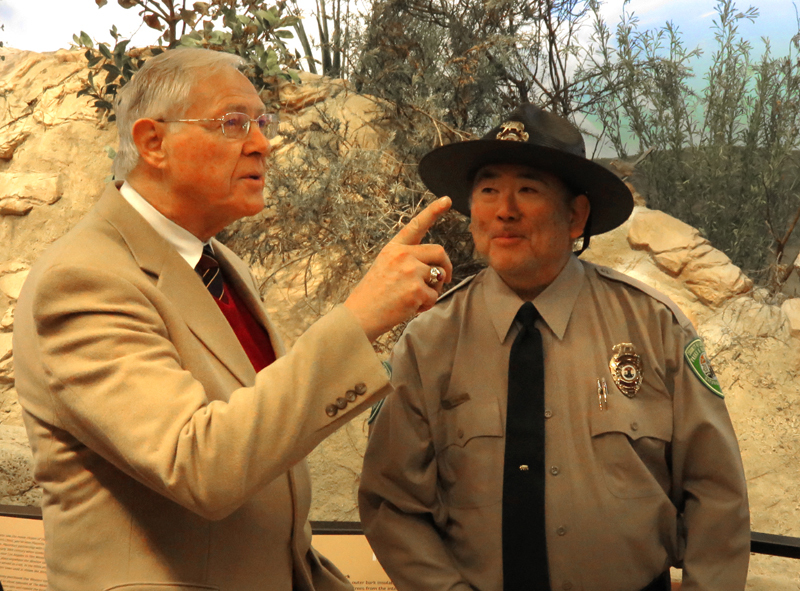 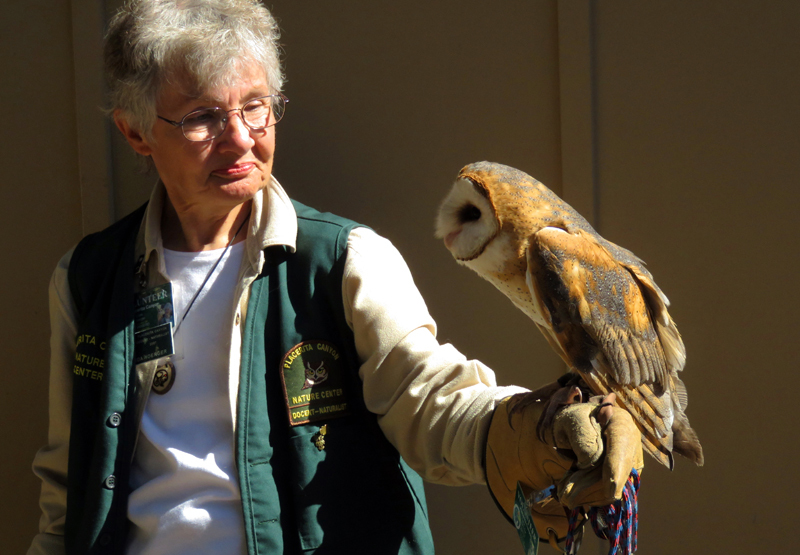 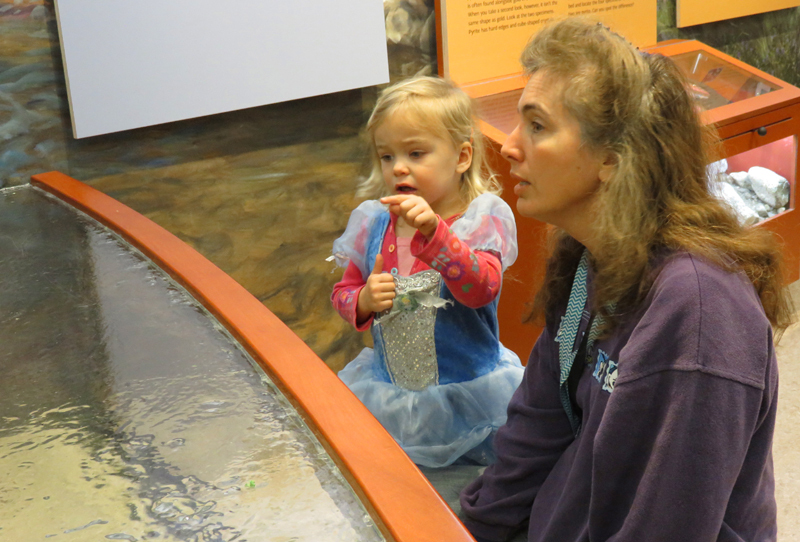 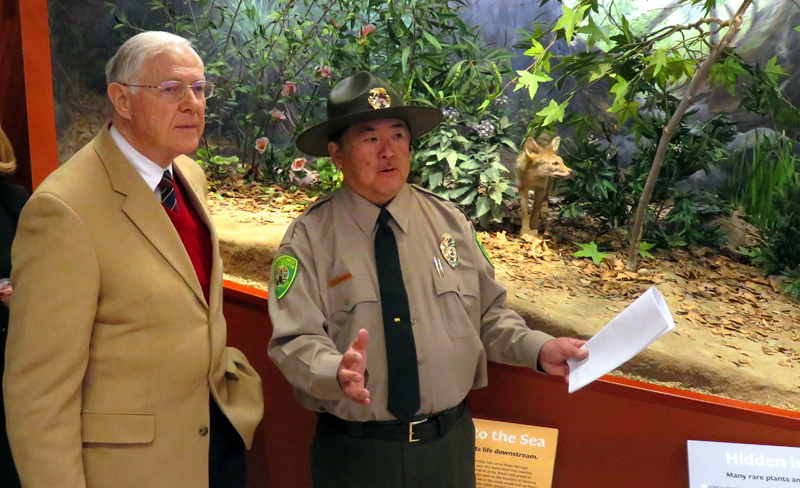 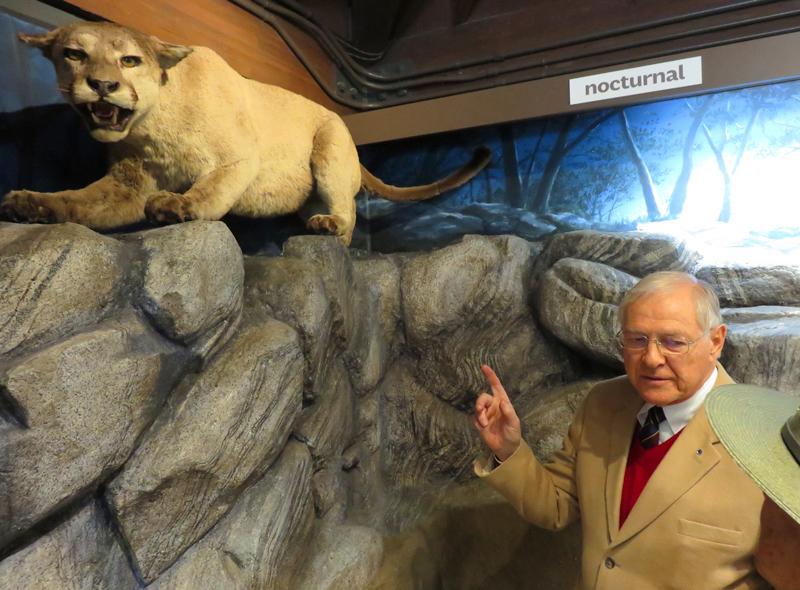 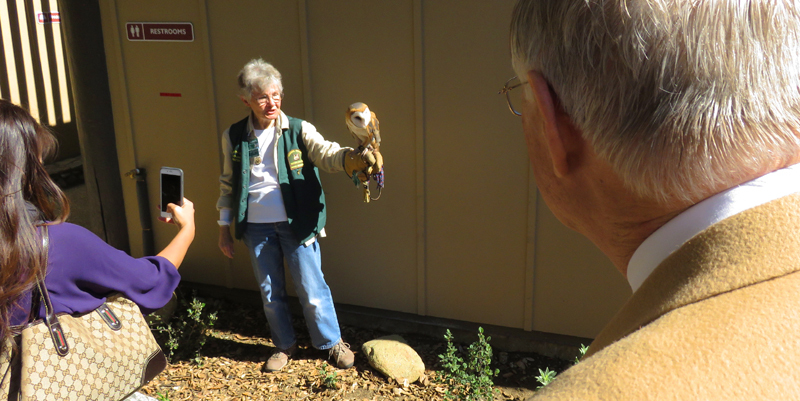 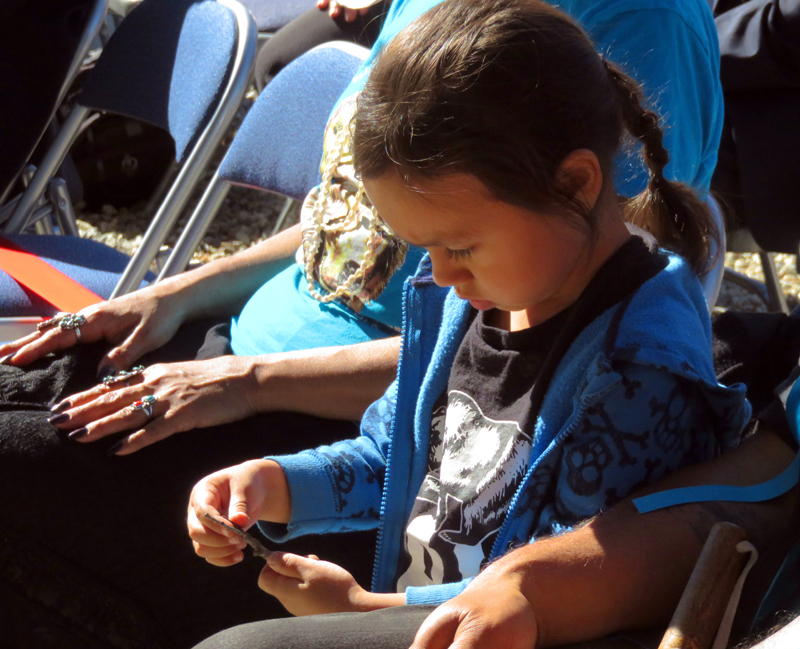 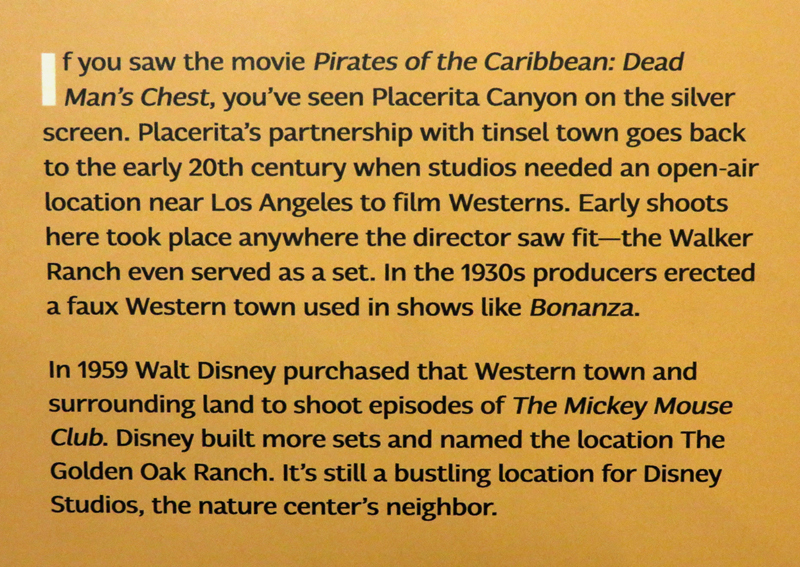 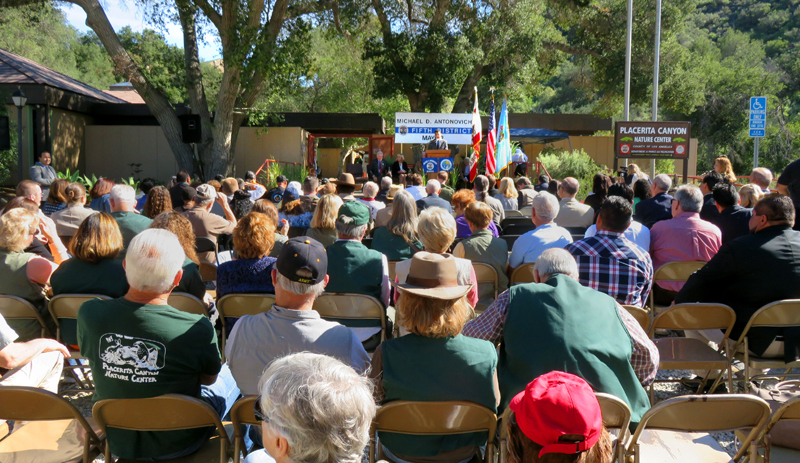 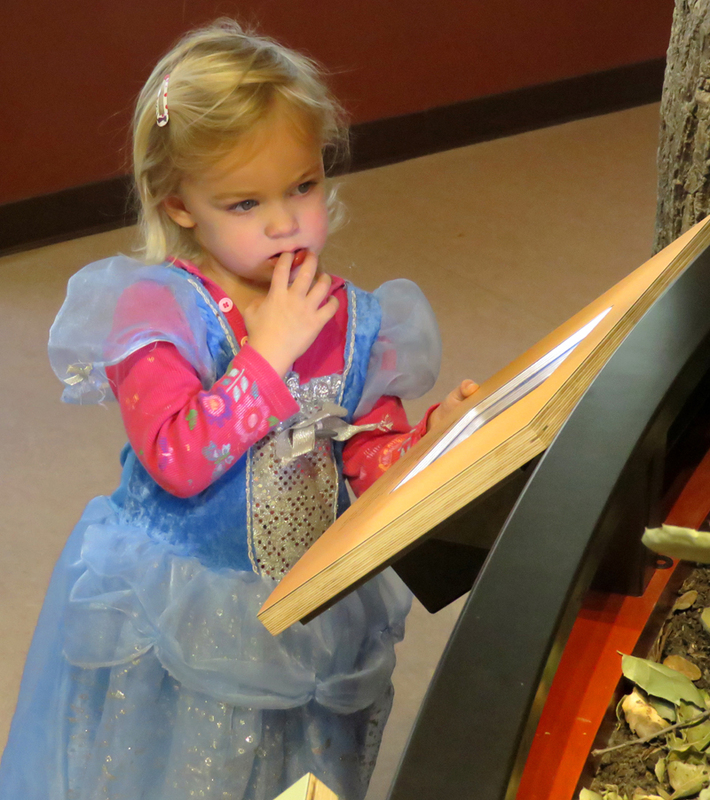 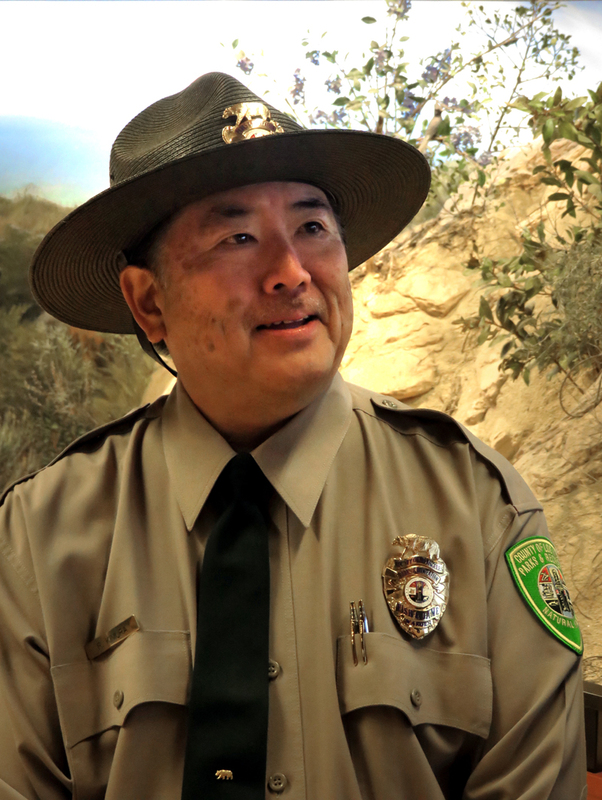 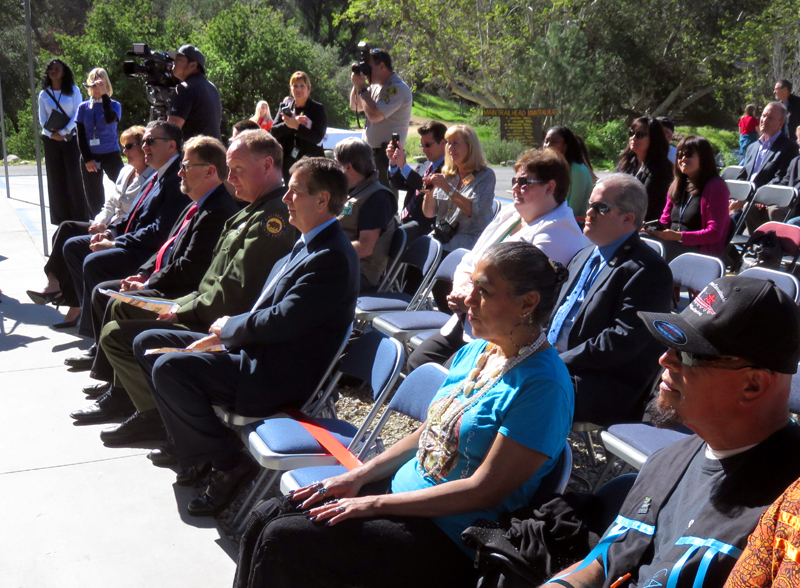 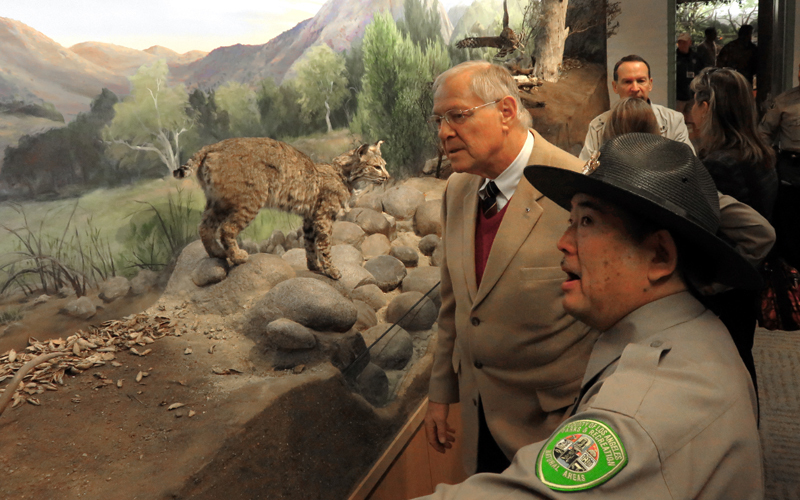 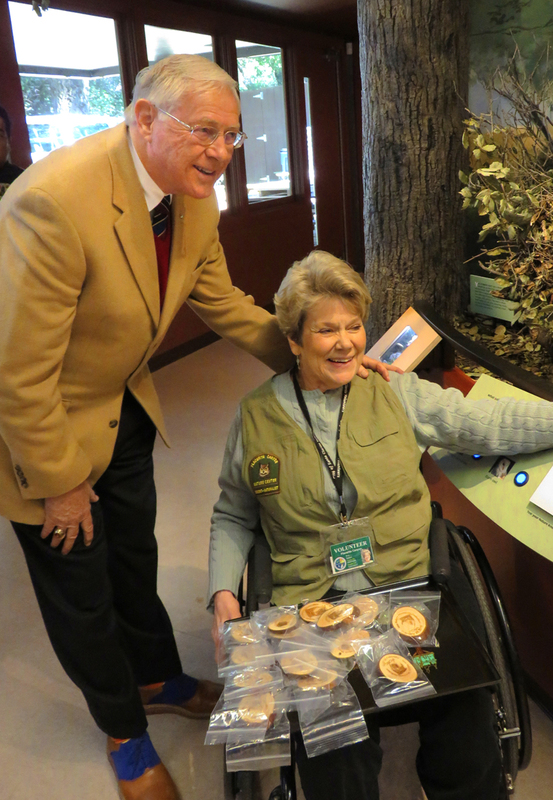 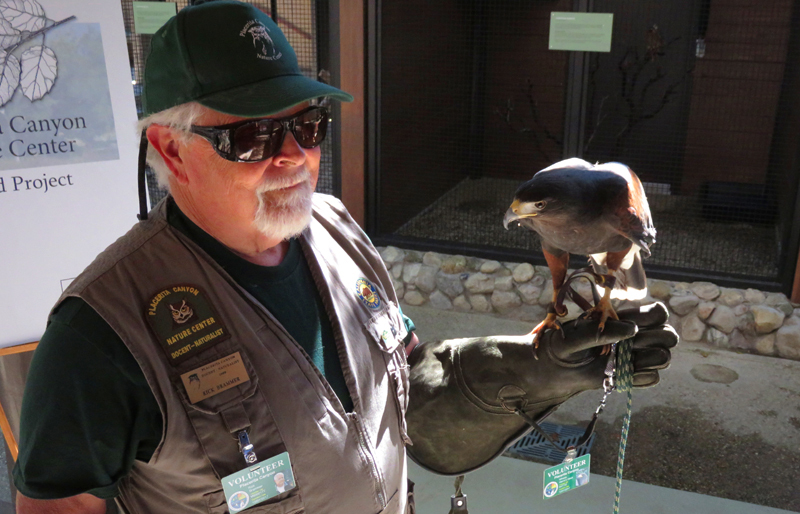 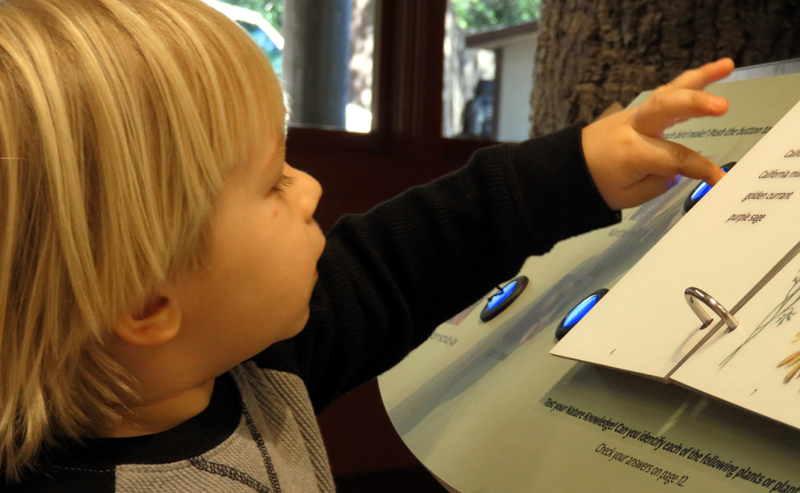 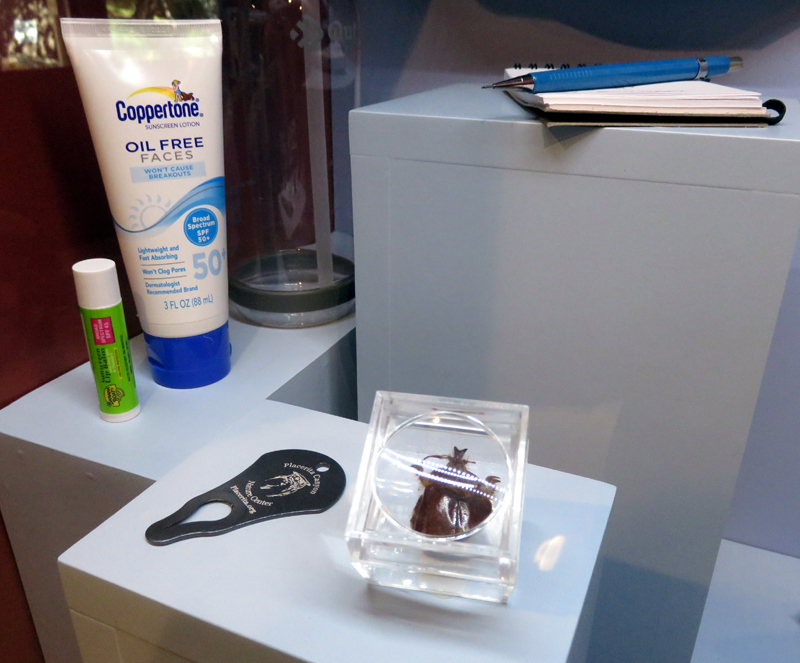 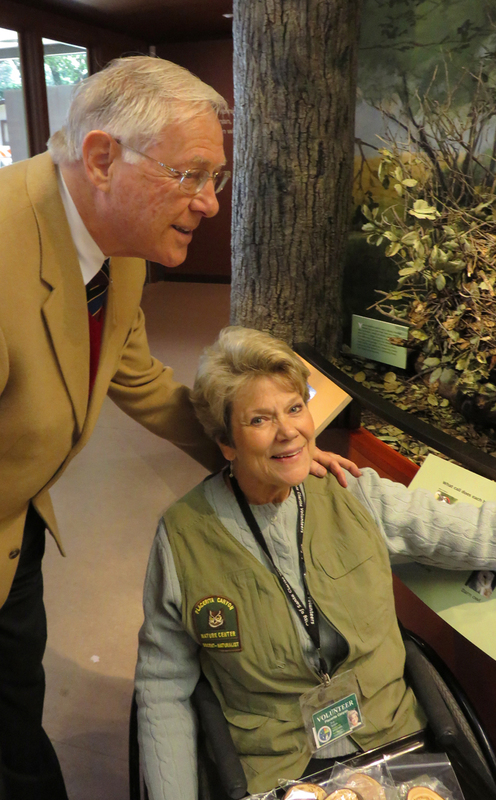 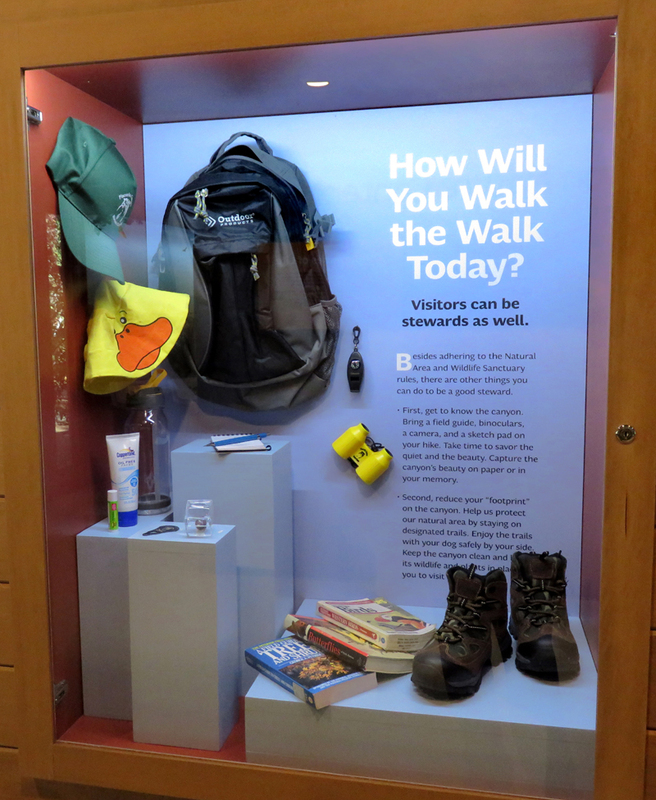 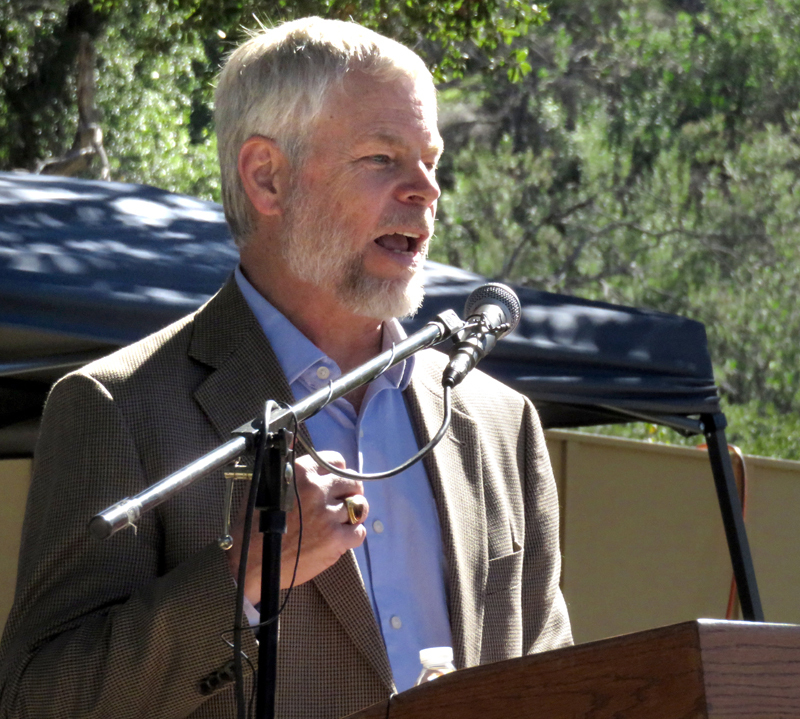 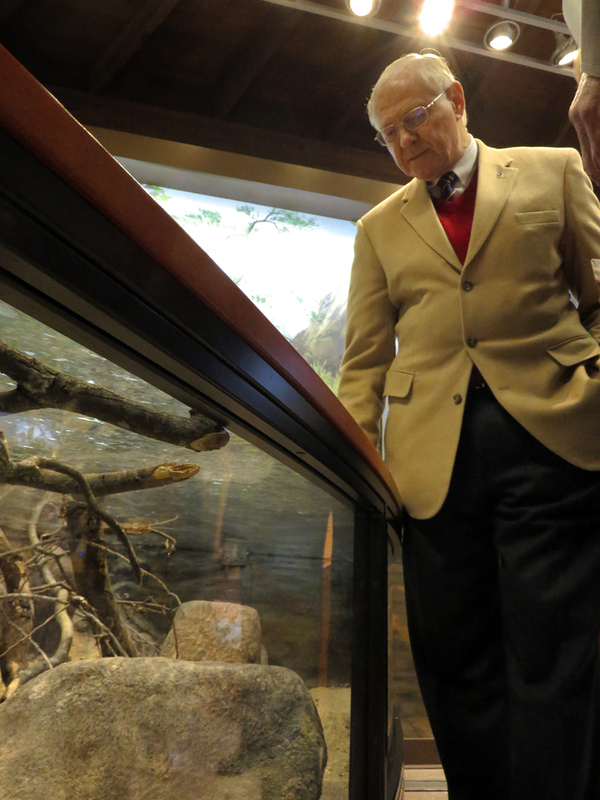 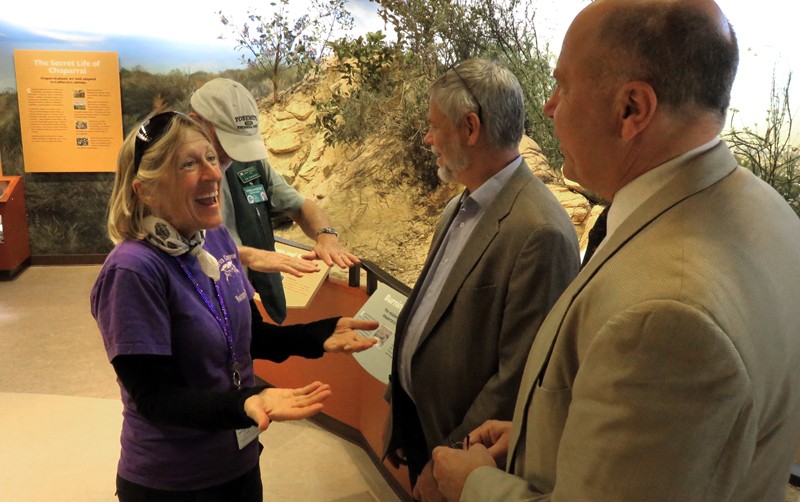 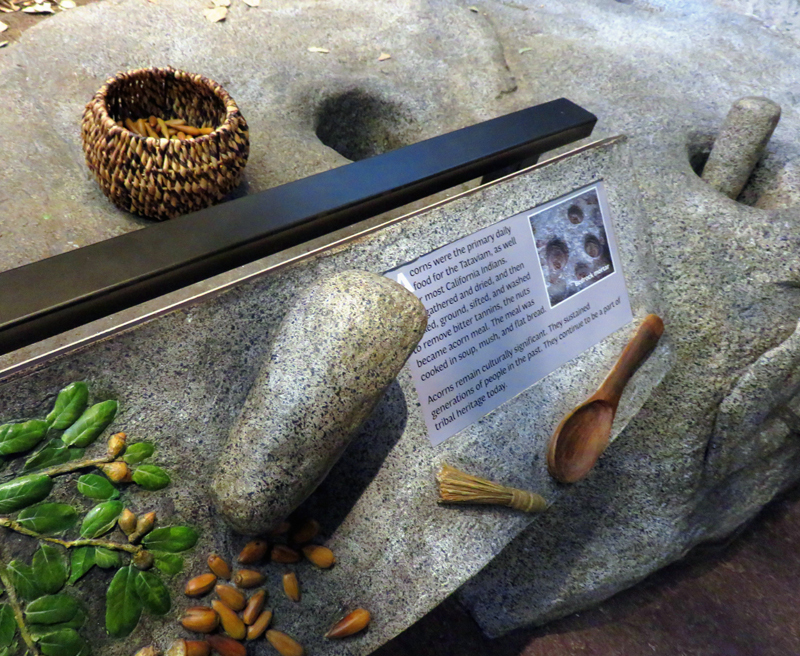 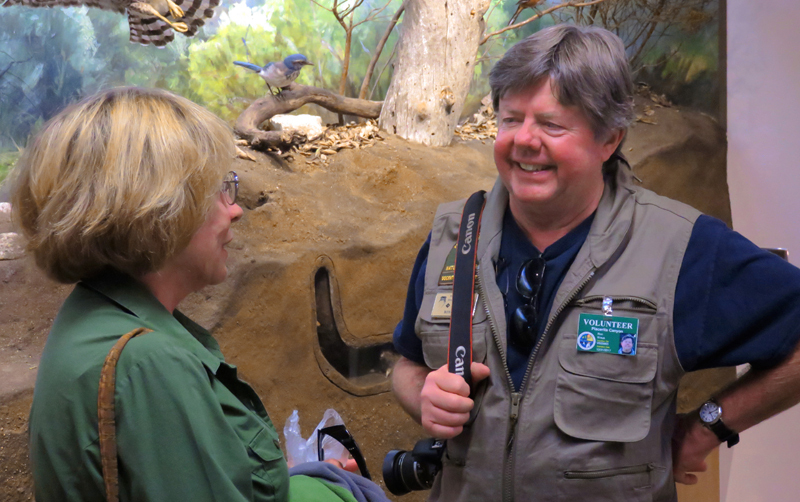 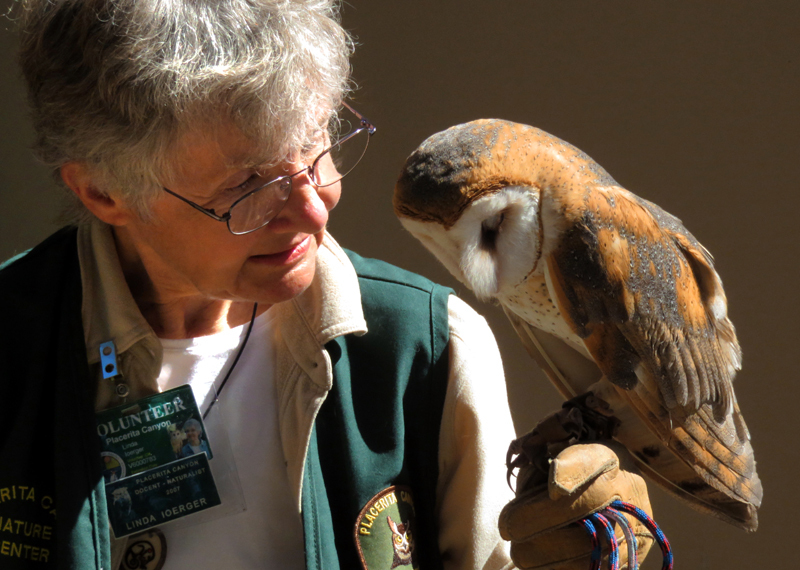 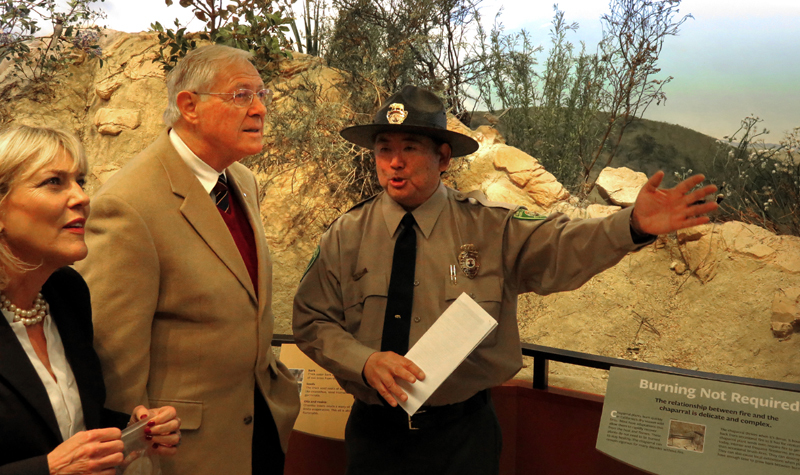 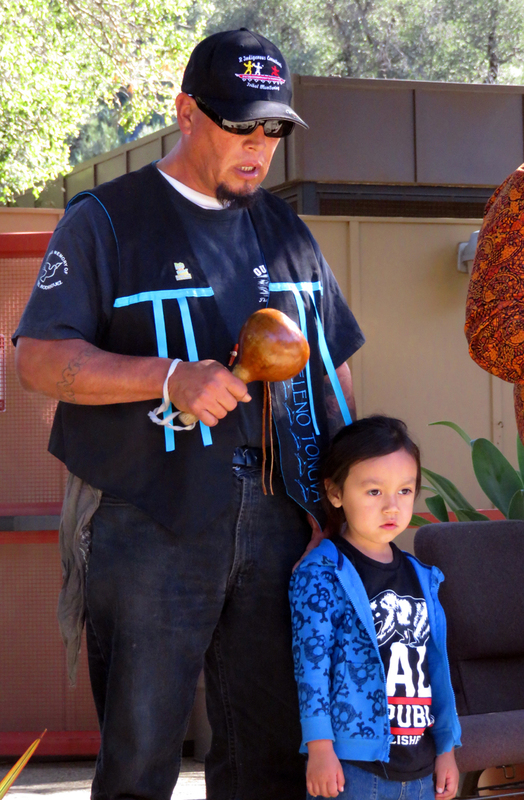 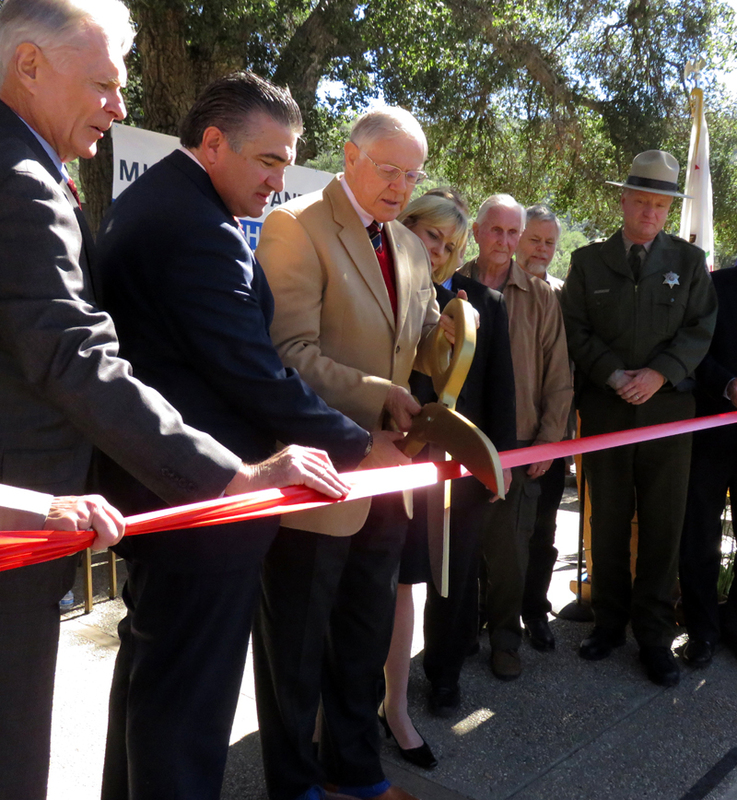 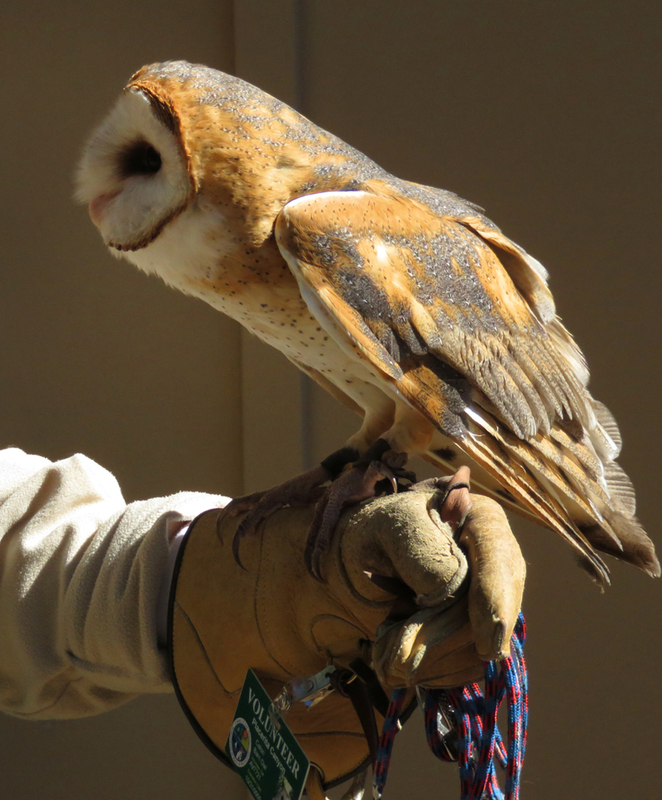 February 25, 2015 — Grand opening of the new Placerita Canyon Nature Center Museum. 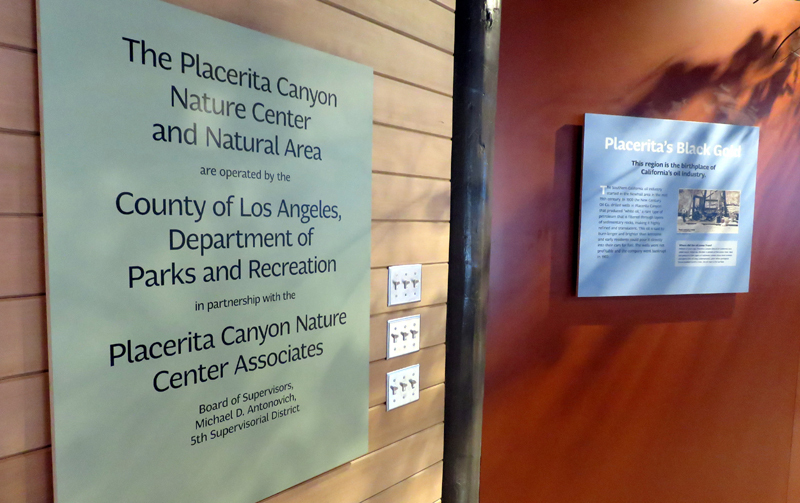 [L.A. County Parks & Rec] — Adding new and exciting dimensions to a facility devoted to educating the public about native animals, plants and natural resources, more than $1.4 million in improvements will be unveiled during a Feb. 25 dedication ceremony at Placerita Canyon Nature Center Museum at 19152 Placerita Canyon Road in Newhall. 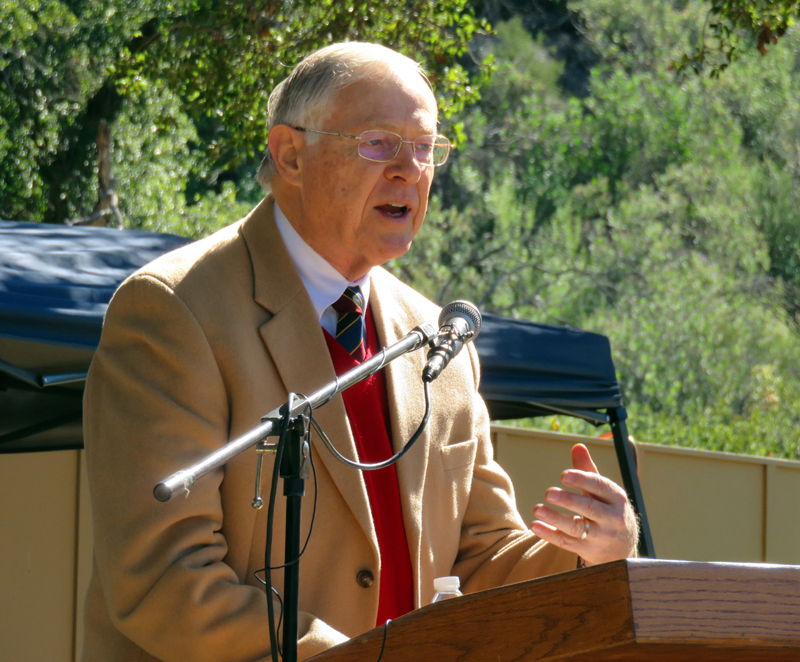 Hosted by Los Angeles County Mayor Michael D. Antonovich, the Department of Parks and Recreation and Placerita Canyon Nature Center Associates (PCNCA), the 10 a.m. event will mark a major milestone at the center first built in 1971. 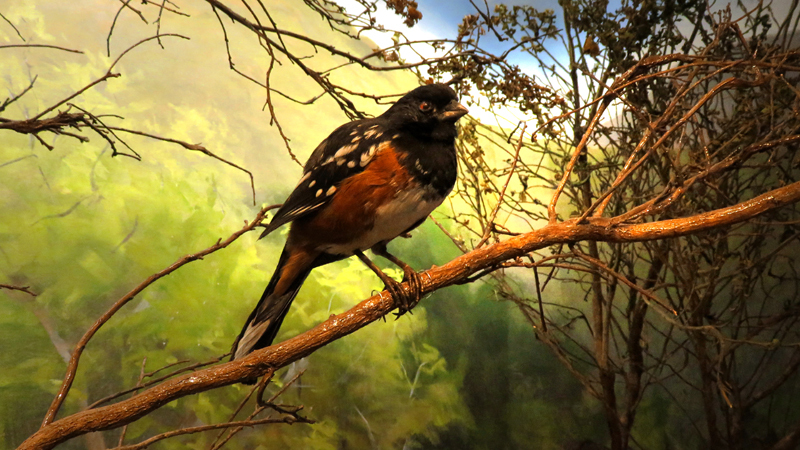 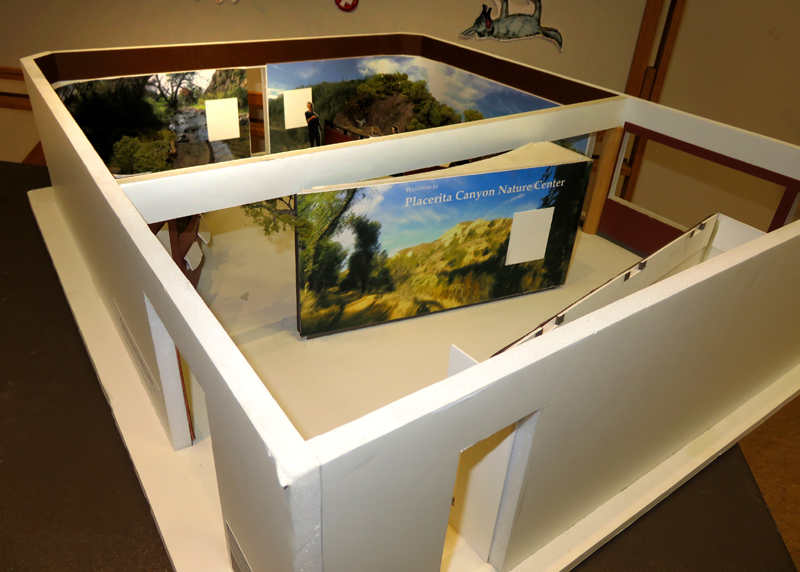 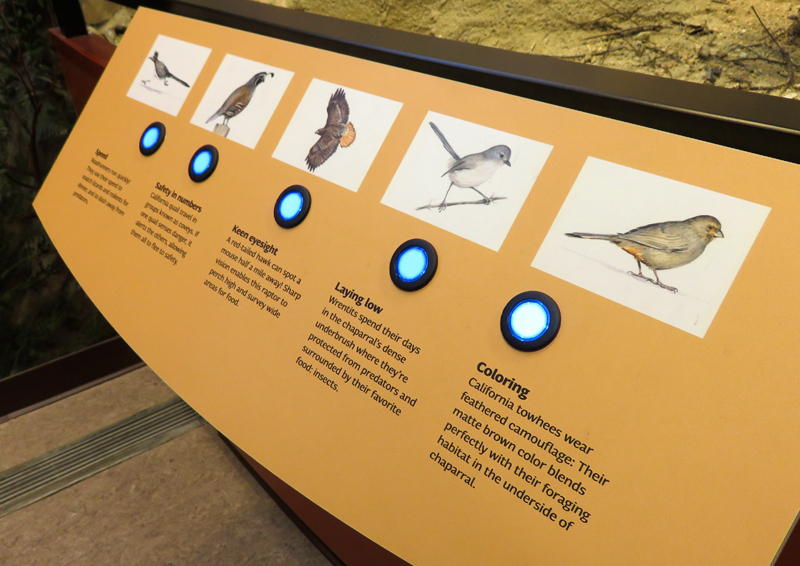 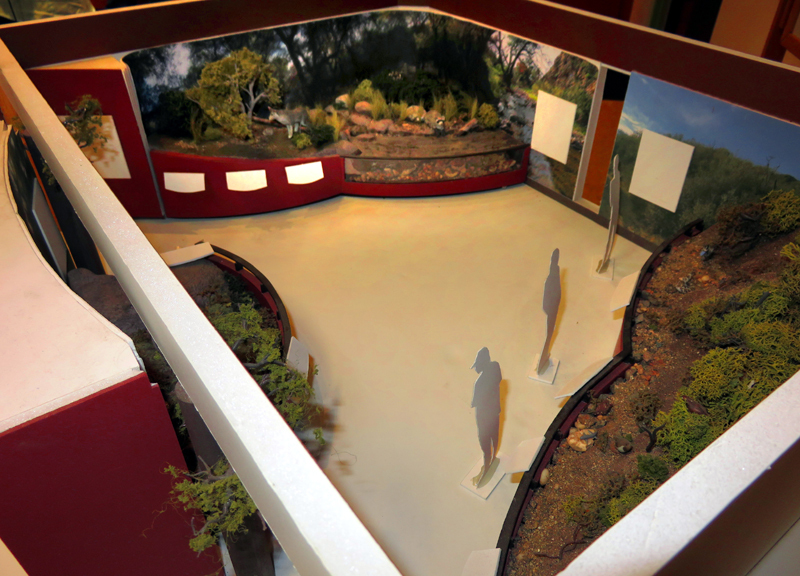 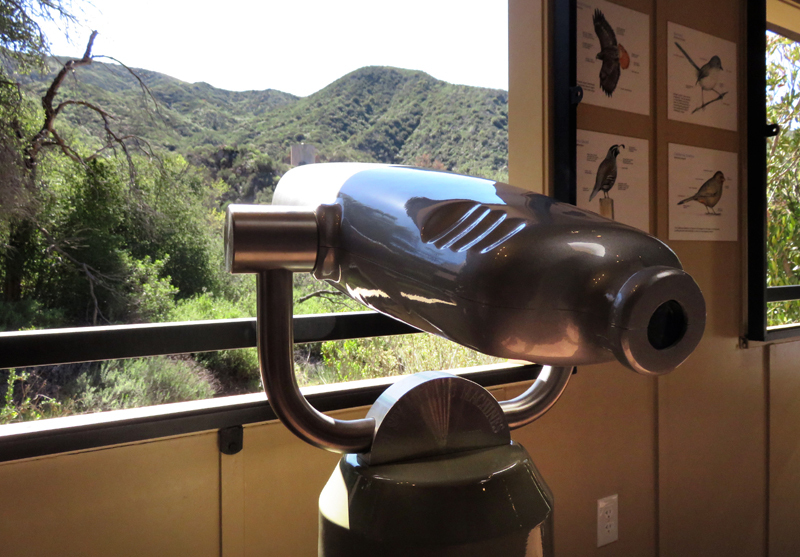 Upgrades include large dioramas depicting Placerita Canyon's three primary ecosystems; a wall-sized freshwater aquarium; a specially-designed bird-viewing area, featuring an observation deck and viewing scopes that allow visitors to watch wild birds along a nearby hillside; informative interpretive displays on native flora and fauna; renovated bird enclosures with a natural soil base; a room dedicated to native mammals; and the wall-to-wall mural "Daylight to Nocturnal," which serves as a colorful backdrop for a collection of lifelike taxidermy animals that include a mountain lion. 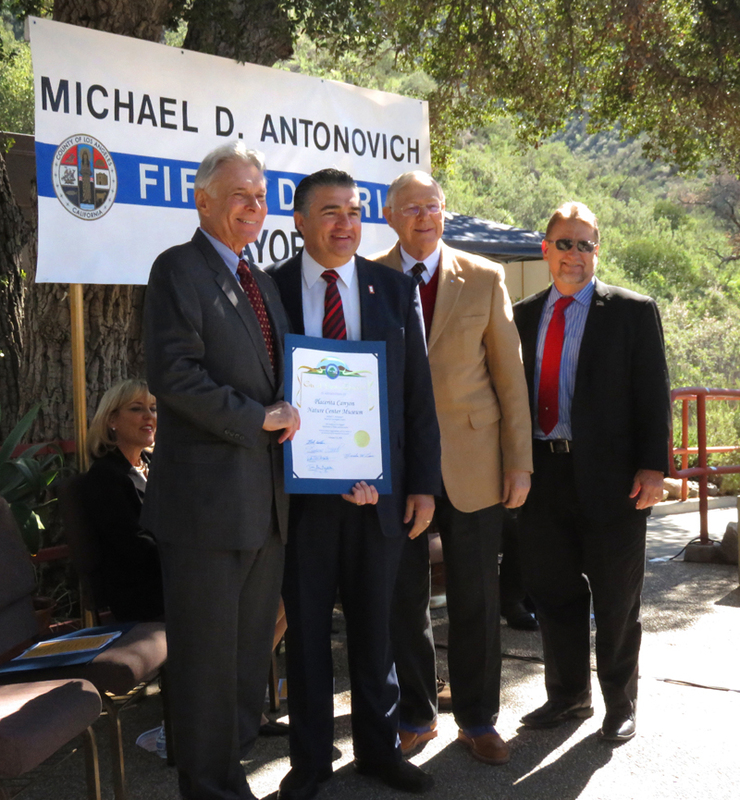 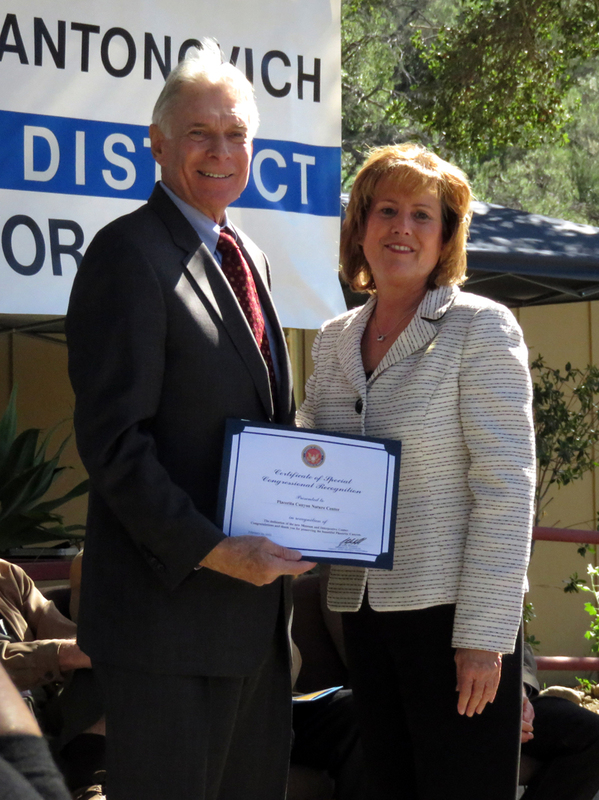 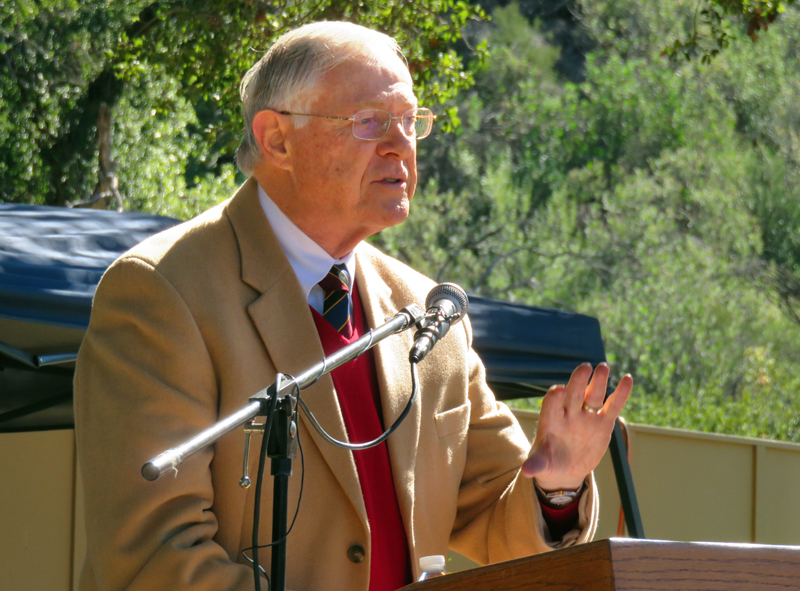 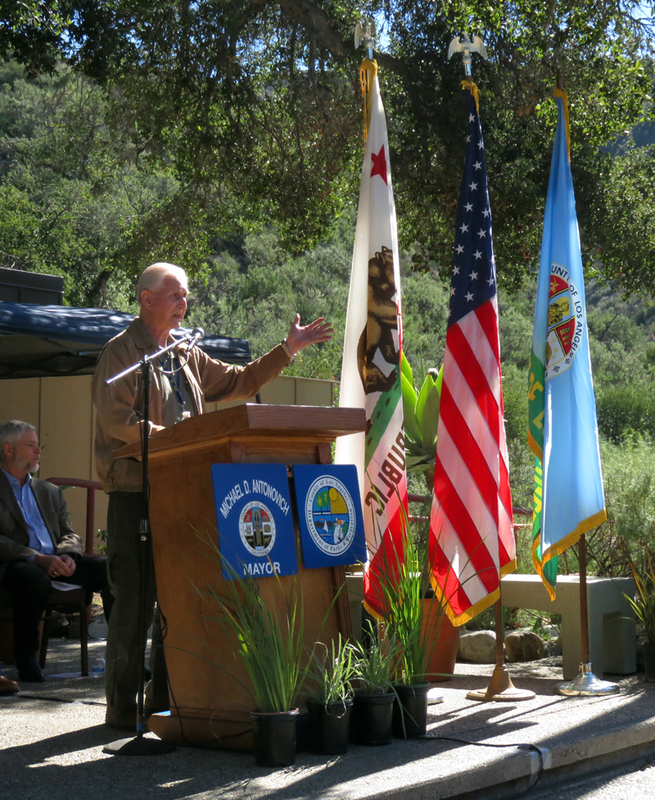 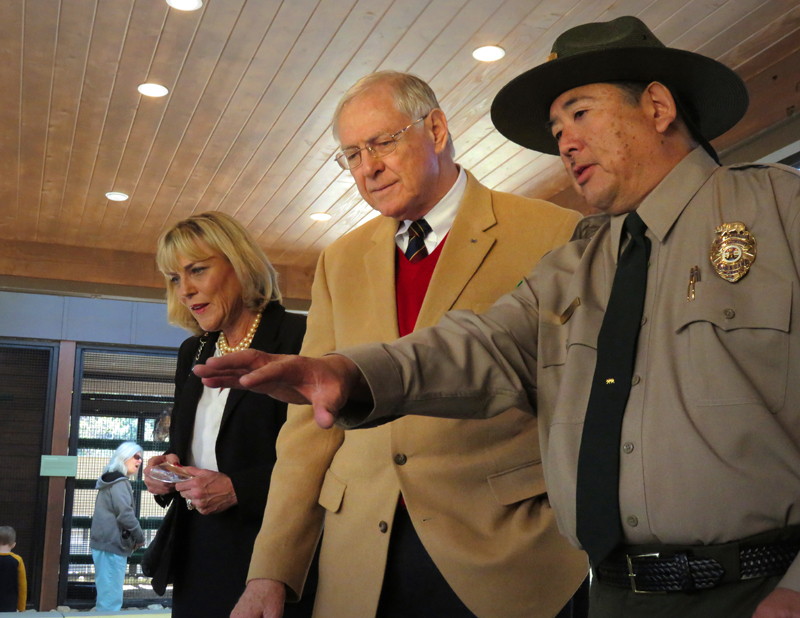 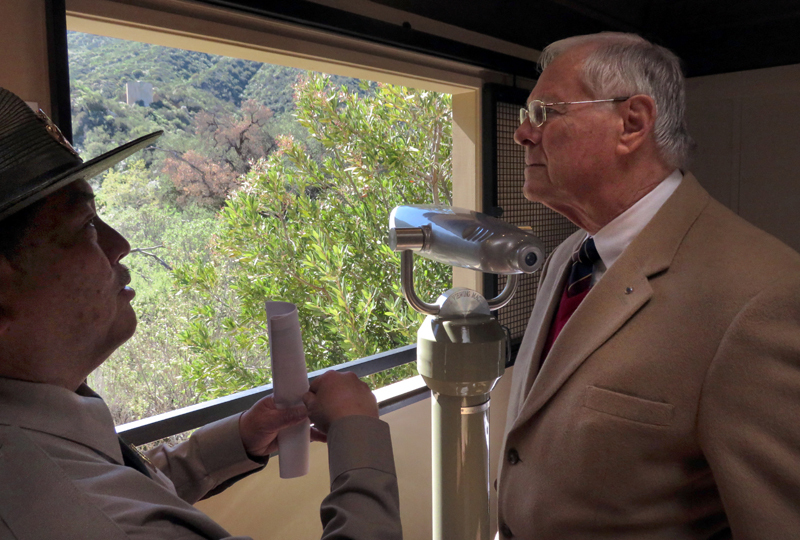 "In addition to providing our Santa Clarita Valley residents with a vital resource for learning and appreciation of wildlife and the environment, the $1.4 million in improvements at the nature center help highlight the vital role Placerita Canyon plays in our efforts to preserve our County's diverse natural heritage," said Mayor Antonovich. 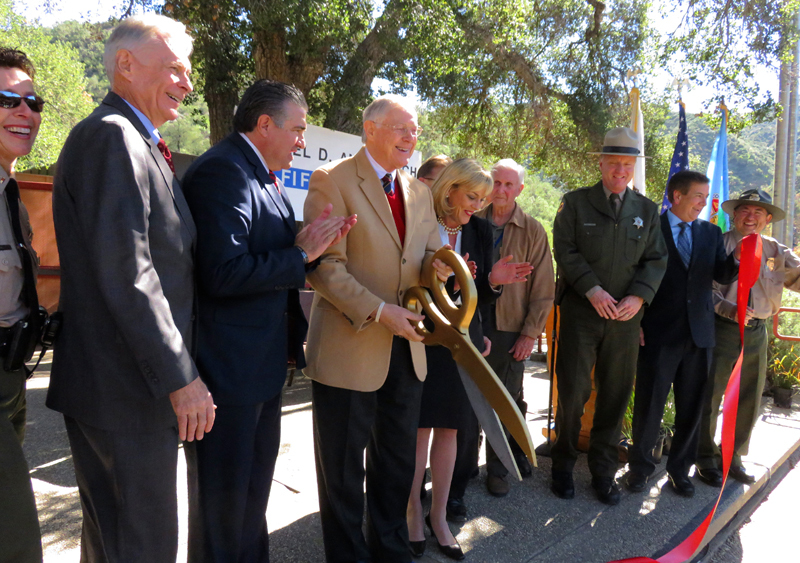 Additional improvements to the park property, which is owned by the State of California and managed by Los Angeles County, include a new roof and exterior restoration for historic Walker Cabin; new potable water system at Walker Ranch Campground; and Americans with Disabilities Act-accessibility for a pedestrian bridge. 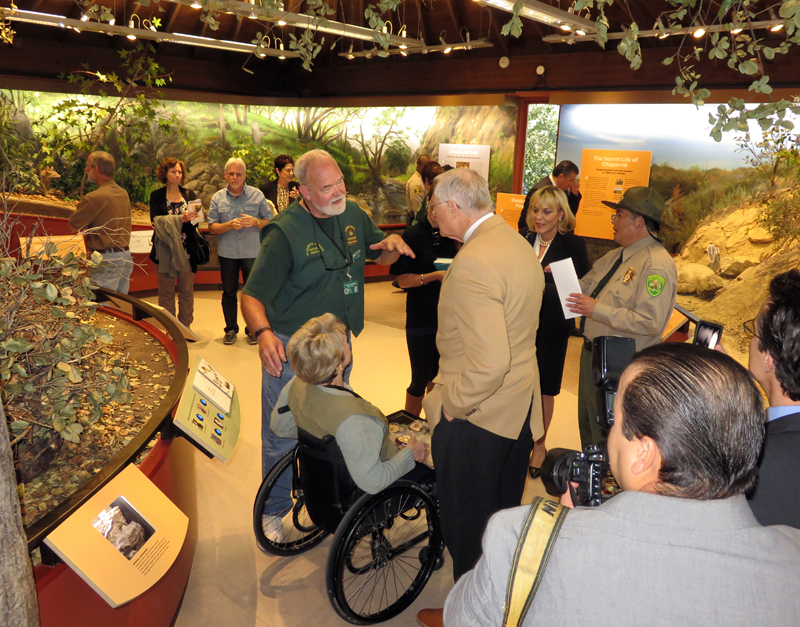 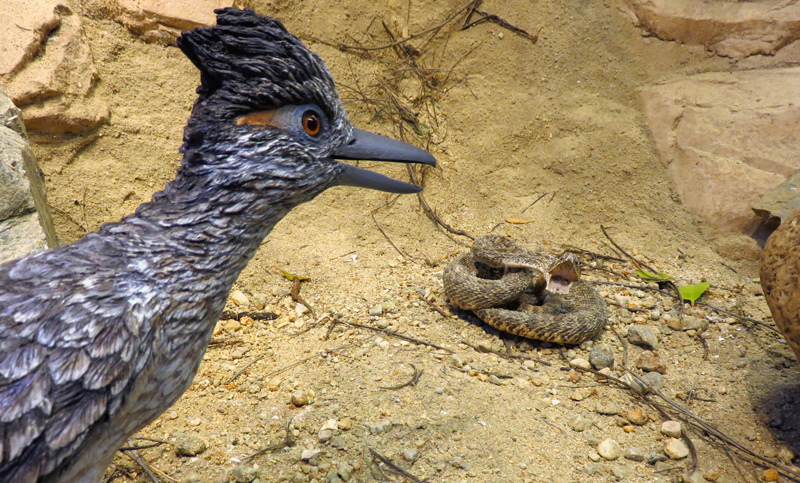 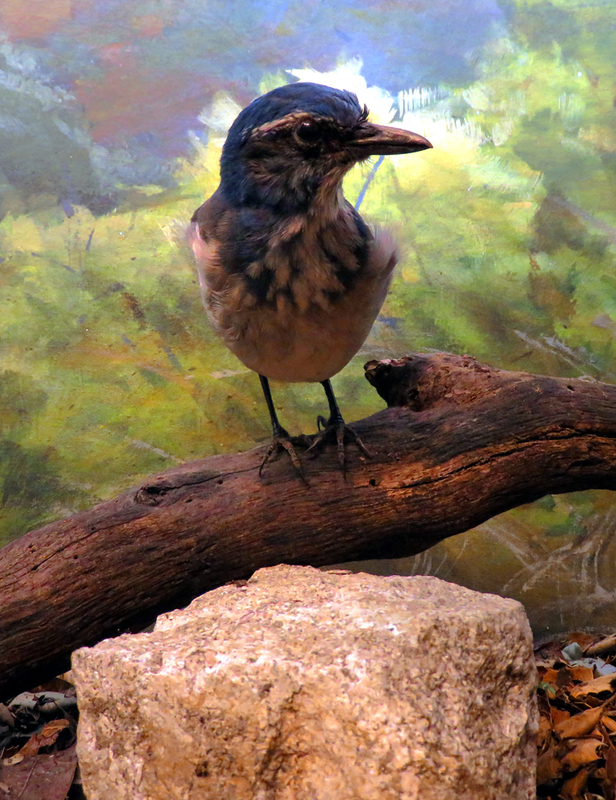 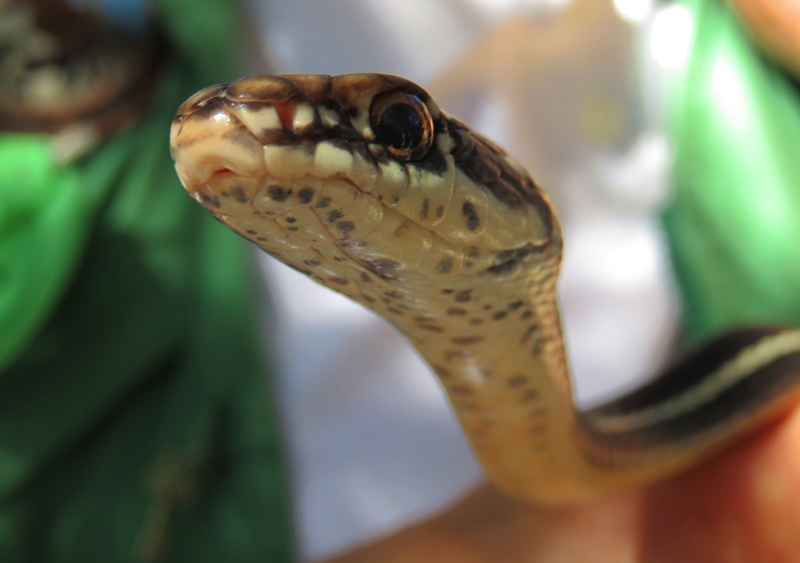 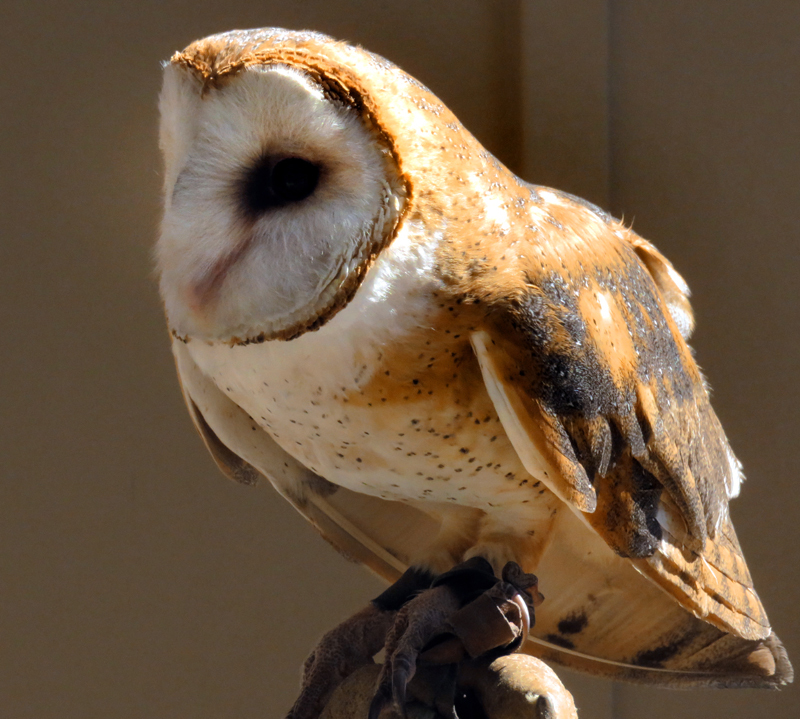 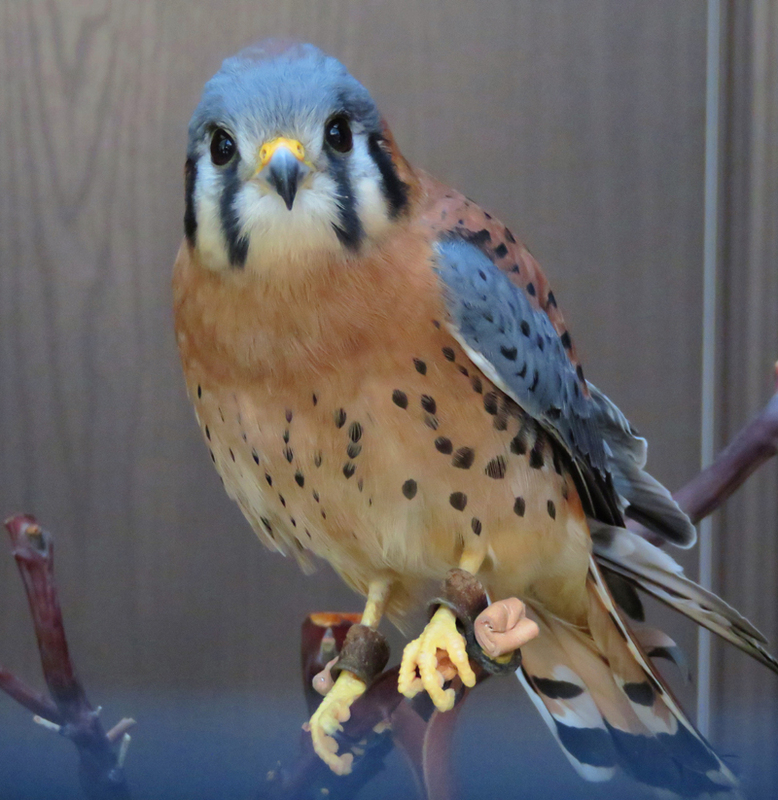 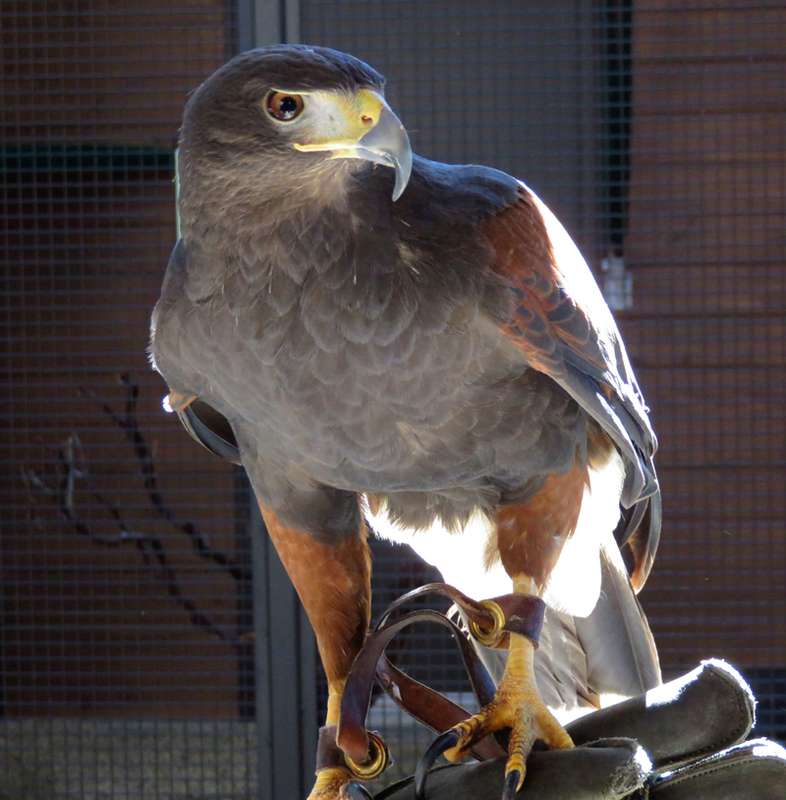 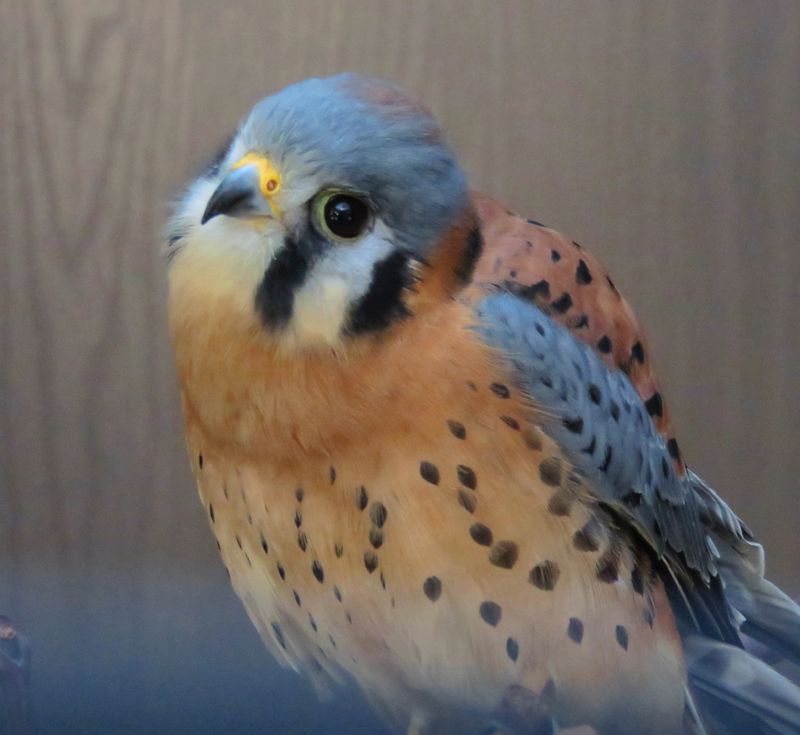 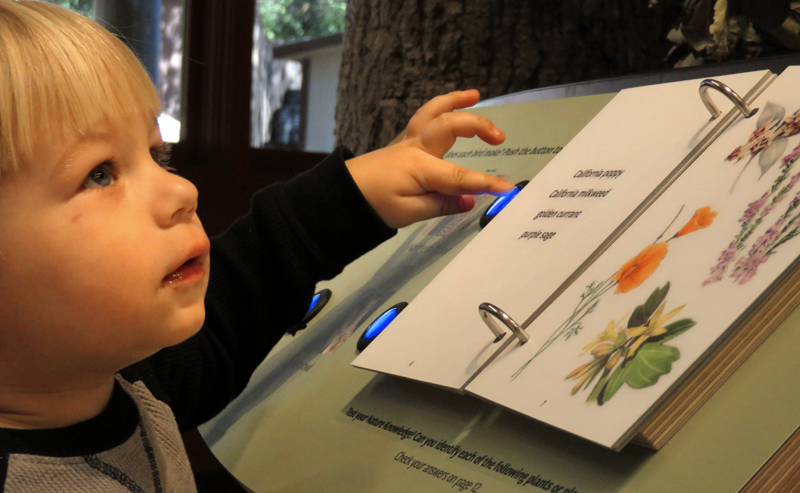 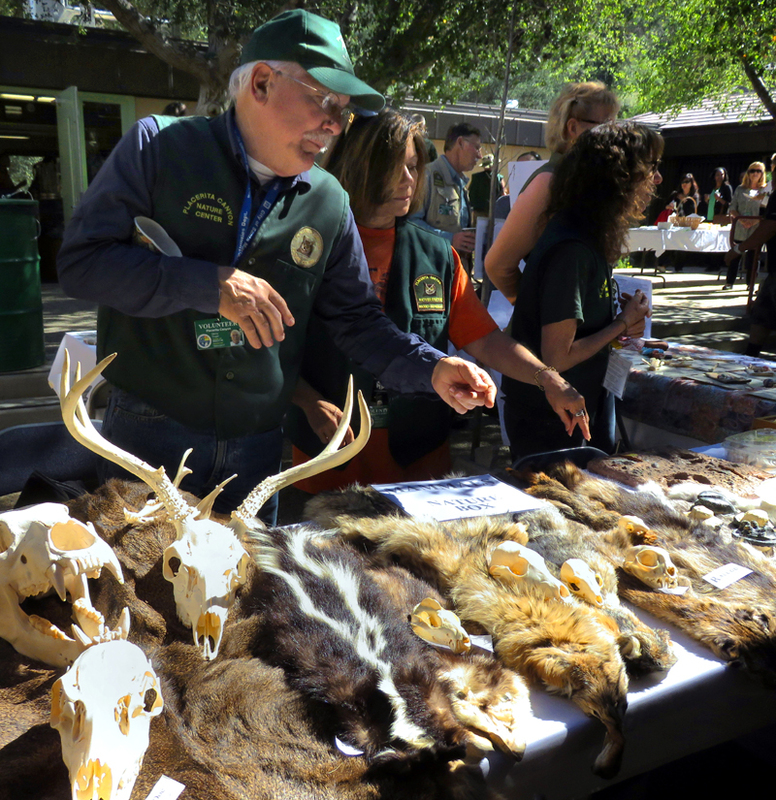 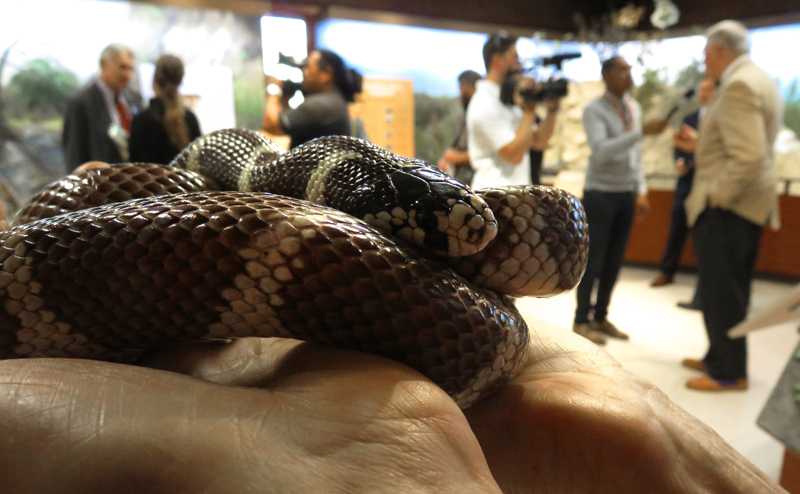 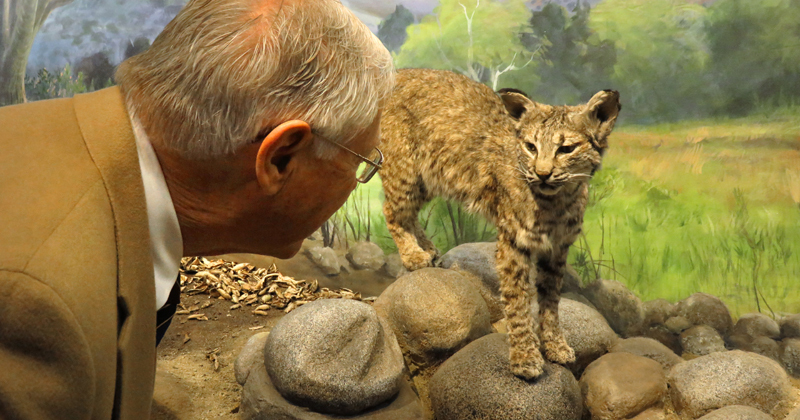 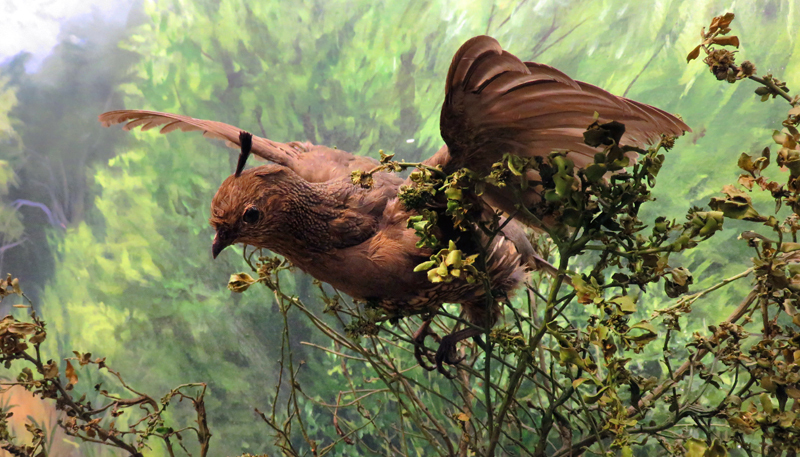 "Placerita Canyon Nature Center Museum tells a compelling story about the animals and plants that make L.A. County such a unique place to experience the beauty of the natural world," said Department of Parks and Recreation Director Russ Guiney. 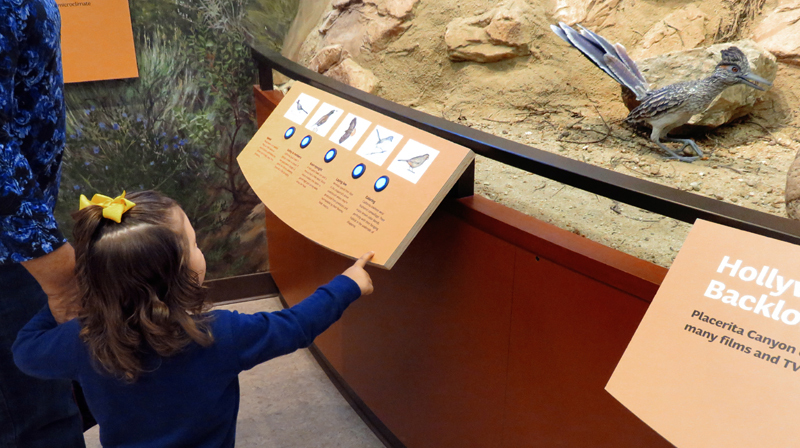 "We look forward to welcoming visitors of all ages who can embrace these new opportunities for learning and fun." 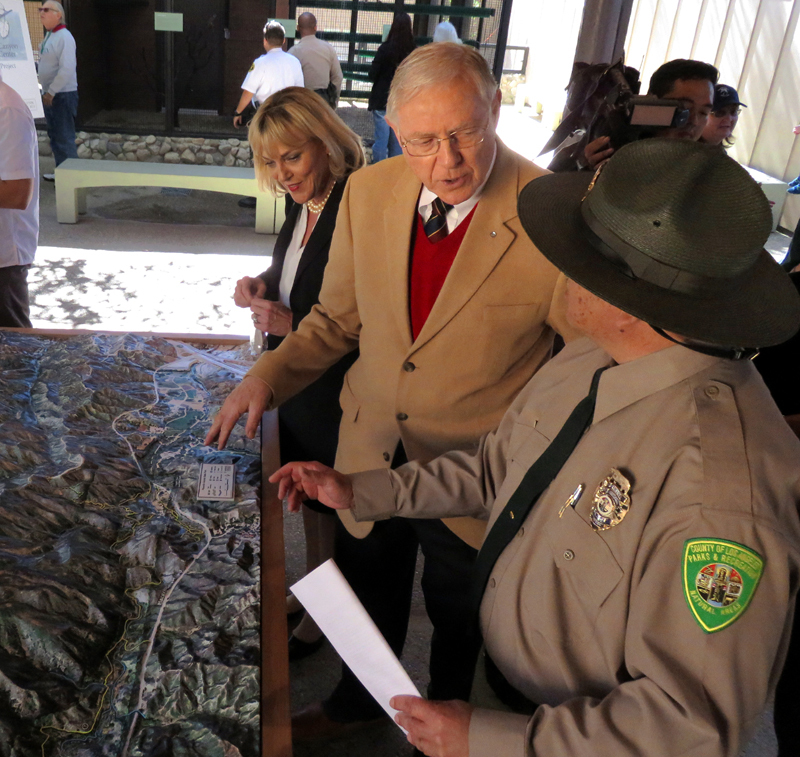 Funding for the project came via a $1 million grant from California State Parks through the Prop. 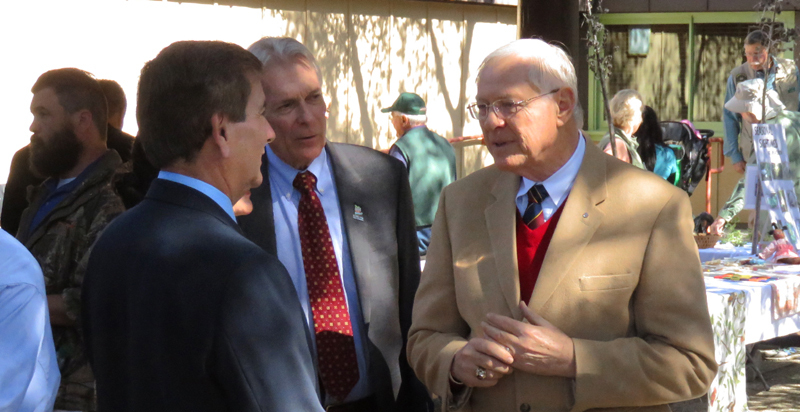 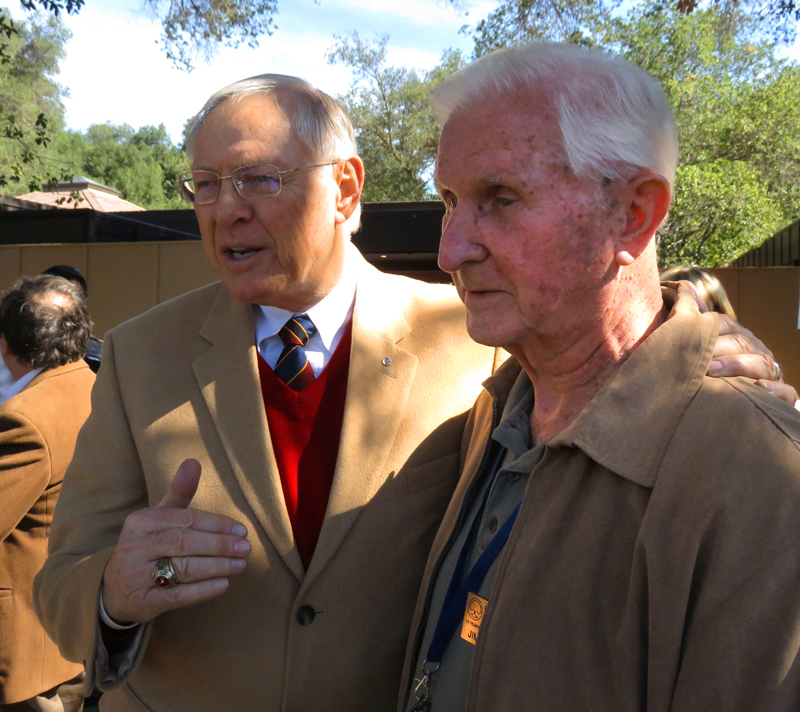 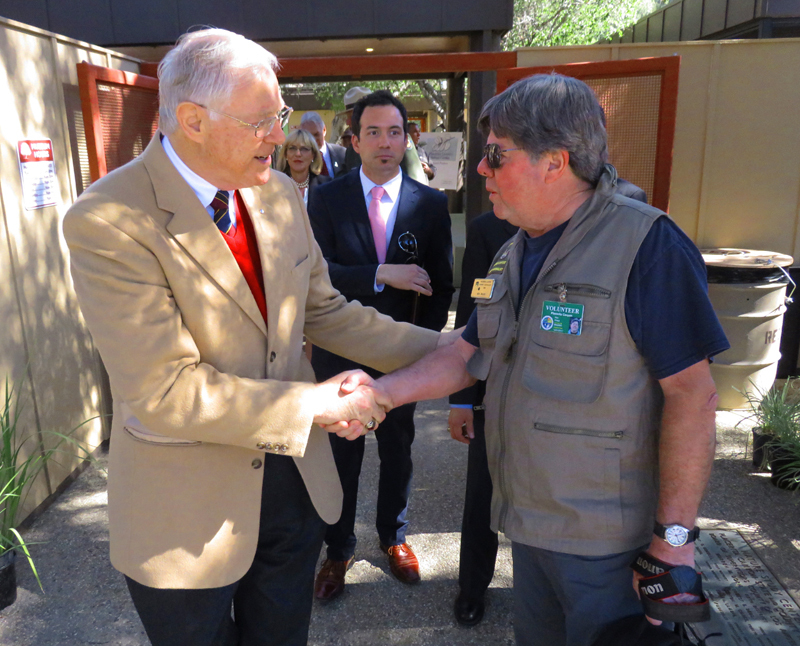 84 Nature Education Facilities Program, along with $465,000 from the office of Mayor Antonovich. 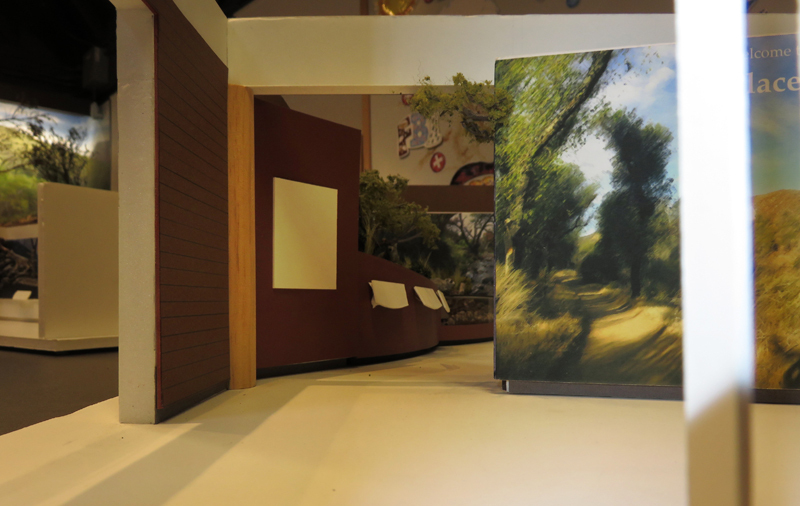 PCNCA contributed close to $30,000 for completion of a master plan and conceptual design. 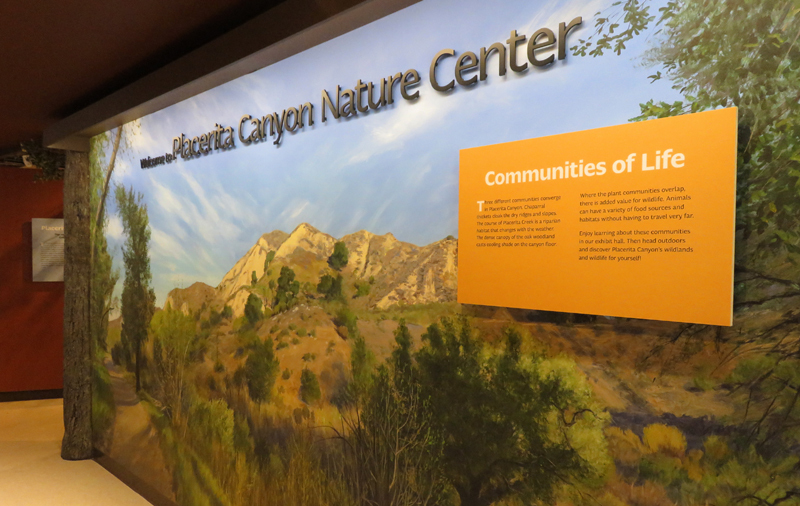 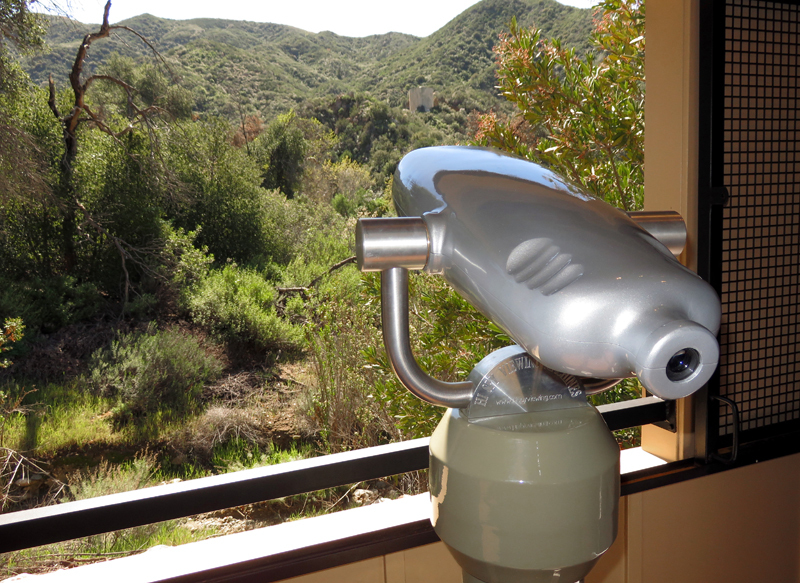 Already a conservation leader — in 2010, Placerita Canyon Nature Center became the first L.A. County facility to receive the prized Leadership in Energy and Environmental Design (LEED) Silver Certification from the U.S. Green Building Council — the museum promises to reinforce key principles of environmental stewardship and boost awareness of the importance of conserving natural habitat. 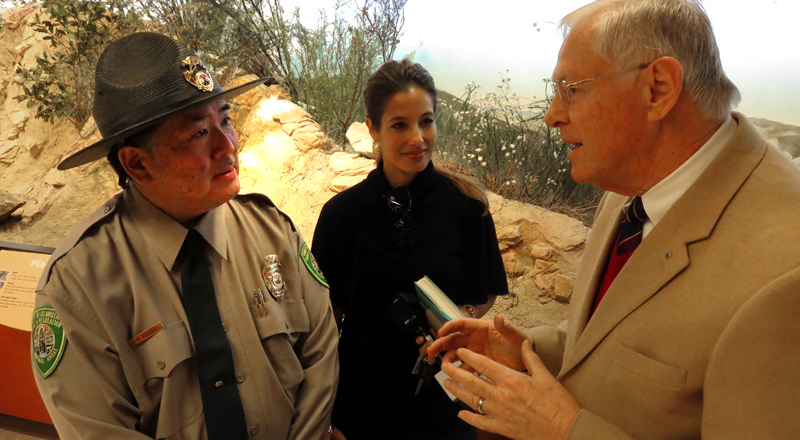 For identification purposes: (From left) Hugo Maldonado, Regional Operations Manager, LA County Parks; Captain Holly Perez, LA County Sheriff Parks Bureau; LA Co. 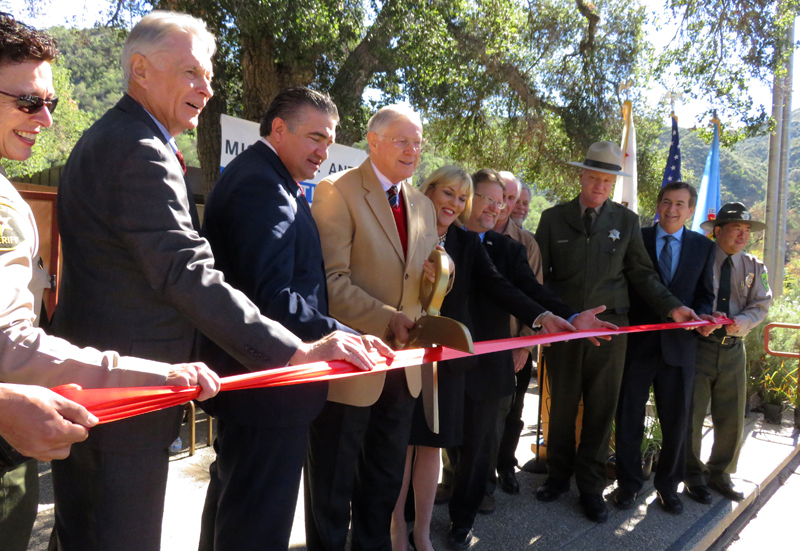 Parks Director Russ Guiney; Santa Clarita Councilman Dante Acosta; L.A. County Mayor Antonovich; Antonovich Chief Deputy Kathryn Barger; Santa Clarita Councilman TimBen Boydston; Jim Southwell, President of Placerita Canyon Nature Center Associates; Bill Nieser, Group Delphi; Craig Sap, Los Angeles District Director - California State Parks; John Wicker, Chief Deputy Director LA County Parks; Placerita Canyon Nature Center Superintendent Russell Kimura. 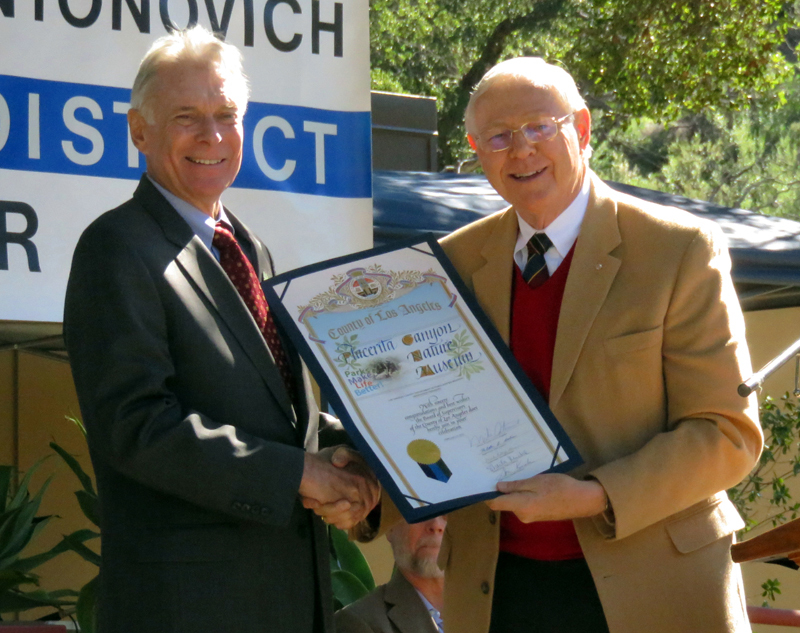 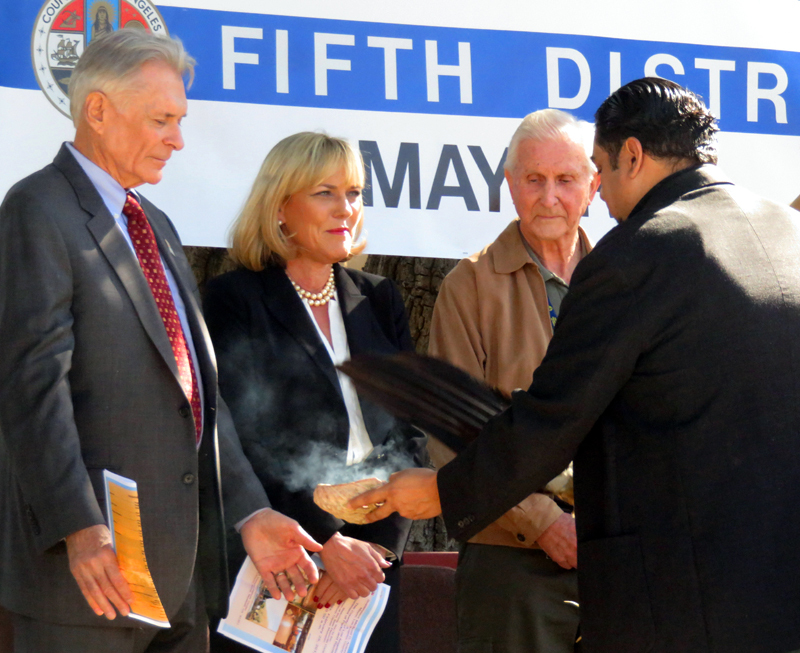 Photo courtesy of Supervisor Antonovich.